It has taken a long time, but now will be the real test... congratulations India. 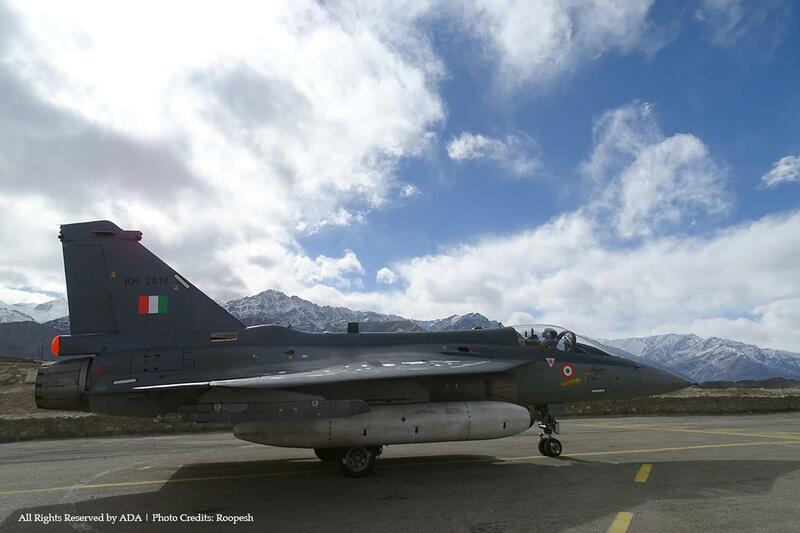 With three consecutive start-ups of its engine after overnight soak in extreme cold (around -15ºC) conditions of Laddakh winter, that too without any external assistance, Tejas, the Indian Light Combat Aircraft has achieved yet another and a rare distinction. Starting the fighter aircraft under such extreme condition without any external assistance or heating is a technology challenge. The requirements become further stringent when the starting is to be done three times consecutively with a partially charged battery. 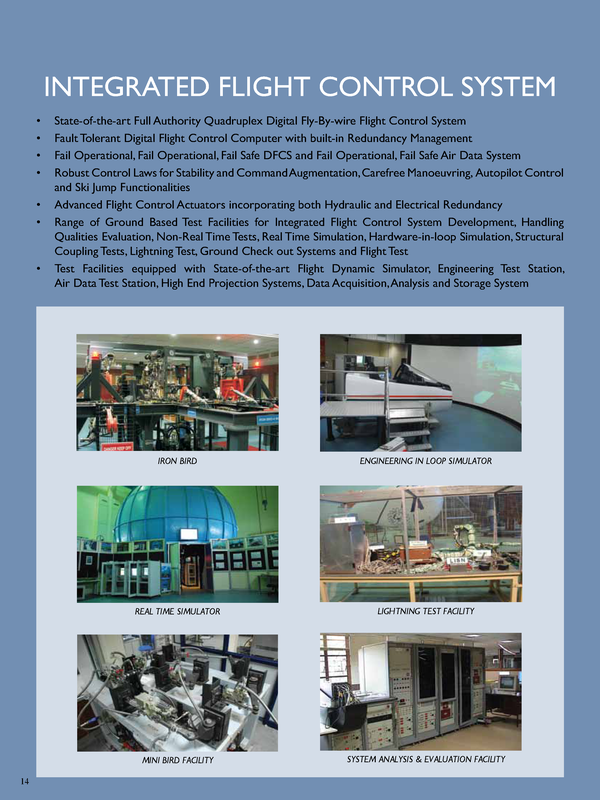 Team LCA led by AERD&C of HAL, and members from ADA, NFTC, IAF, CEMILAC and DGAQA have succeeded in achieving this. 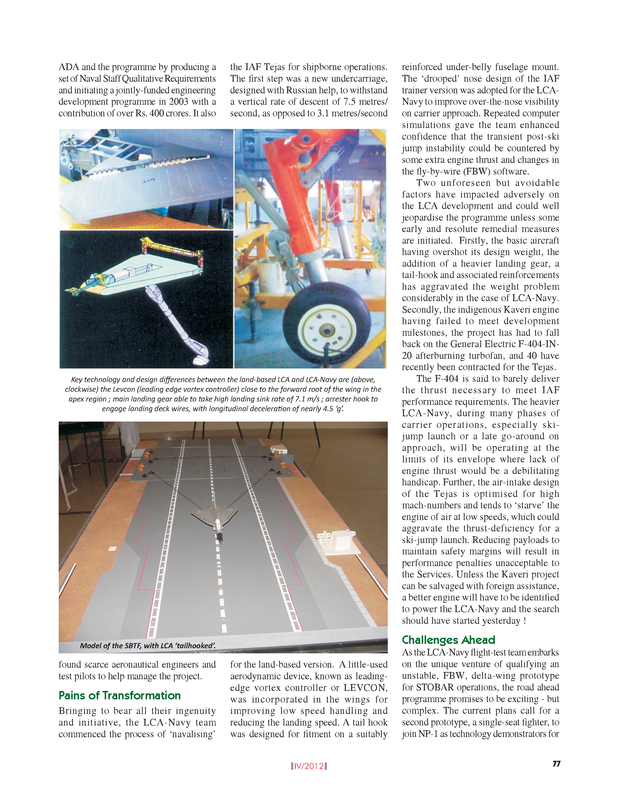 “The team LCA has achieved a technological breakthrough”, stated Dr. PS Subramanyam PGD (CA) & Director, ADA. 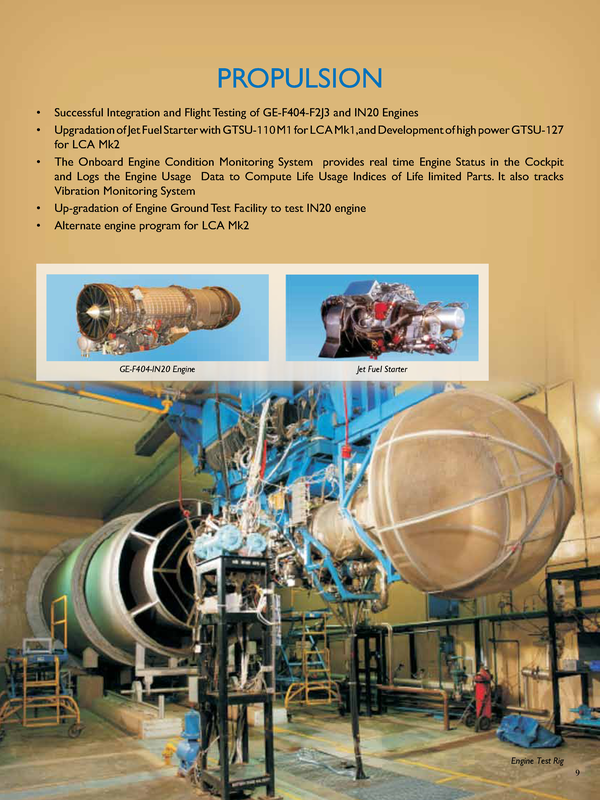 The engine starter is developed indigenously by HAL Aero Engine Research and Design Centre (AERDC), Bangalore. 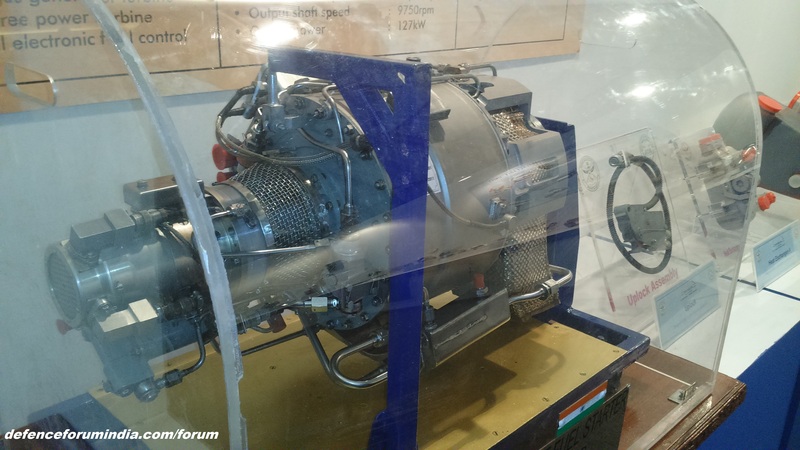 Prior to aircraft tests, the Jet Fuel Starter (JFS) was extensively tested on test rig to meet starting conditions across the operating altitudes including Leh (10,700 ft.) and Khardungla (18300 ft.). The control software of JFS was fine tuned to work at all operating altitudes with no adjustments from cockpit. GE-F404-IN20 engine start up control schedule was also varied with several control patches to establish reliable start. 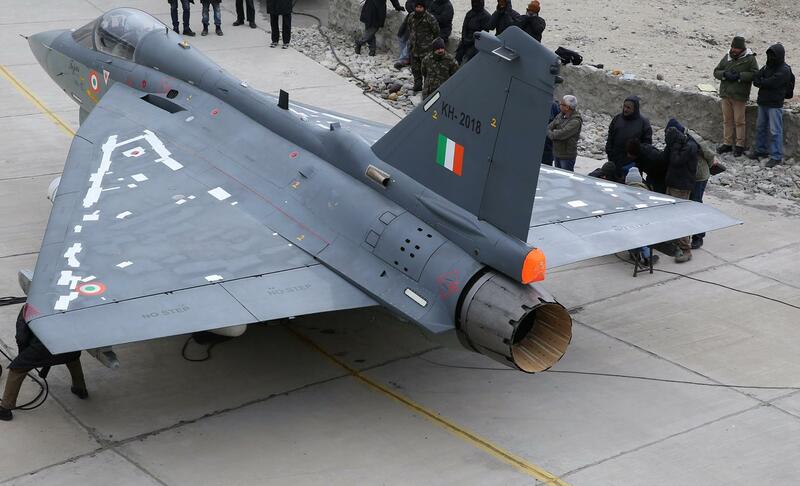 Bengaluru, Feb 7:Indian Navy's dream of owning a desi fighter jet got small boost when the second Naval Prototype (NP-2) of Light Combat Aircraft (LCA) successfully completed its maiden flight today. 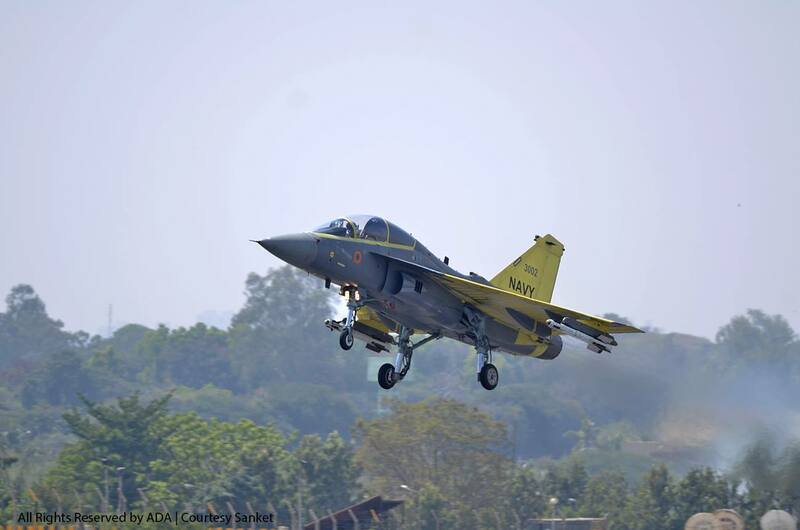 The NP-2, a fighter, took off from the Hindustan Aeronautics Limited (HAL)-owned airport in Bengaluru at 12:27pm on Saturday. 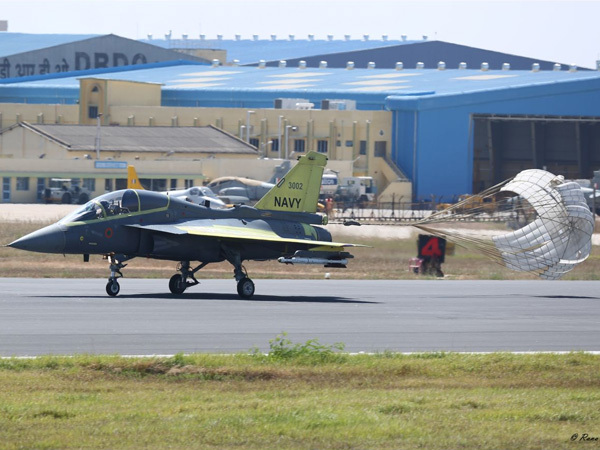 Navy Test Pilot Captain Shivnath Dahiya, now attached to the National Flight Test Centre (NFTC), took NP-2 for a 35-minute flight, as part of its restricted flight-test plan. Normally, a prototype will be subjected to limited manoeuvres during the initial flights. 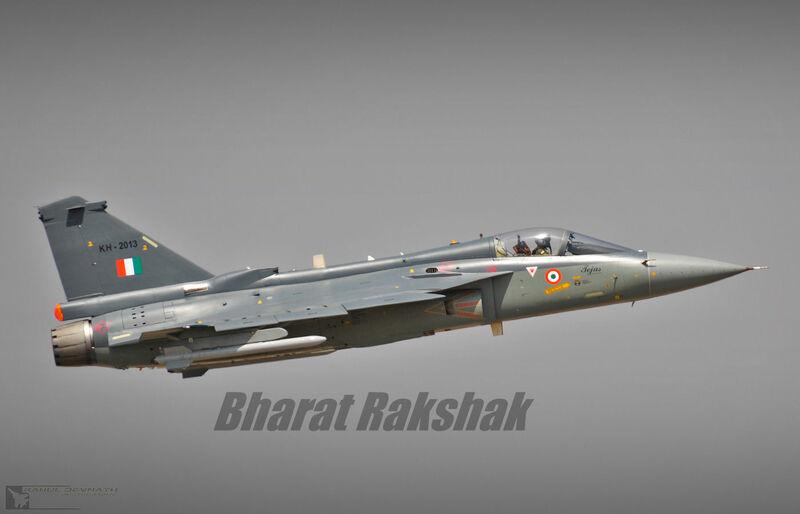 The NP-2 had a chase aircraft in the form of a Tejas LSP2 piloted by Gp Capt Suneet Krishna (Retd), now on the rolls of Aeronautical Development Agency (ADA). 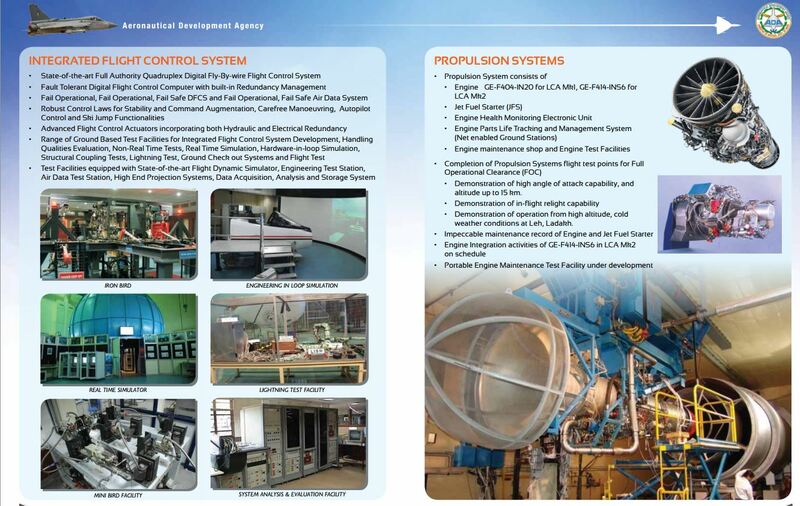 HAL claimed soon after the flight that the NP-2 has been free of all deficiencies that were observed on NP-1, a trainer variant. 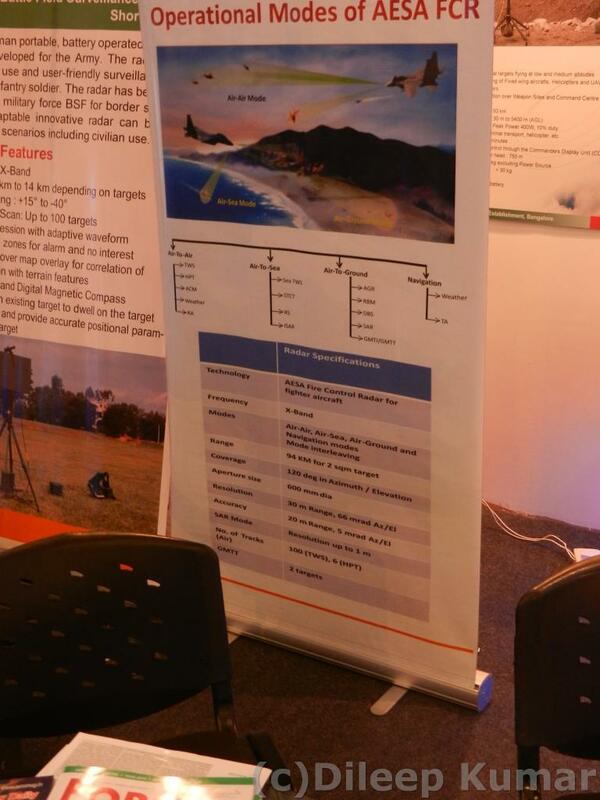 The NP-1 recently had demonstrated its capabilities from the Shore-Based Test Facility (SBTF) in Goa. 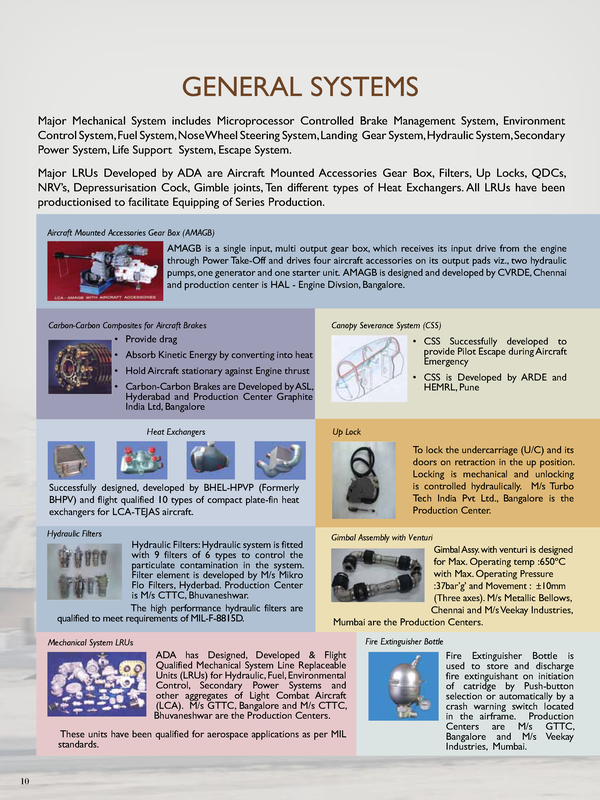 "NP-2 incorporates most avionic hardware components promised to the Indian Navy. During design and build NP-2 has been customised to incrementally accept modifications for carrier landings (from ship deck)," says an HAL spokesperson. 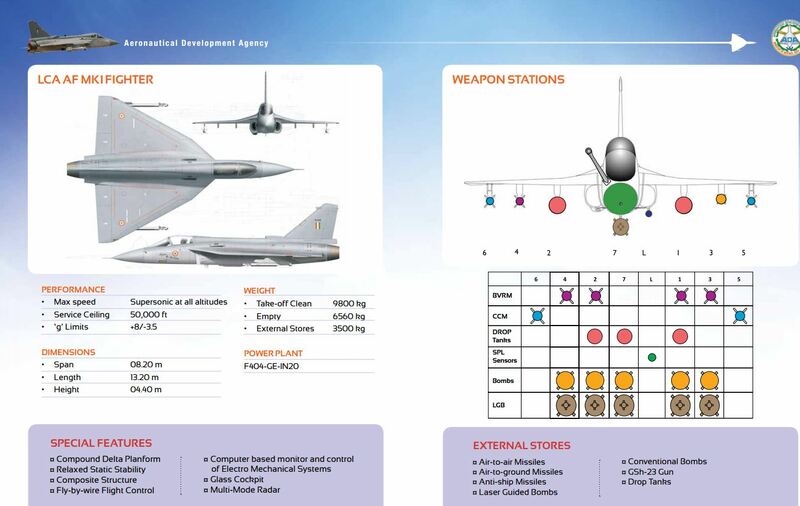 HAL adds that NP-2 is the lead aircraft for arrestor hook integration, Derby Beyond Visual Range missile and tactical data link. 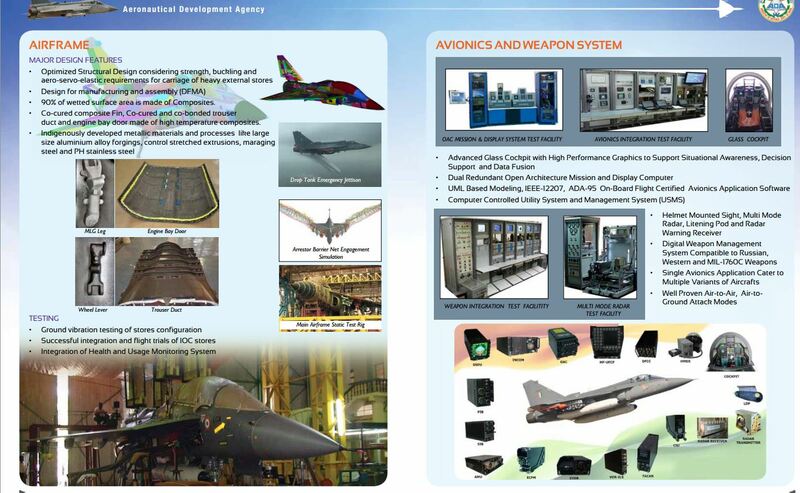 "The inclusion of NP-2 into the LCA (Navy) flight test stable is a significant milestone in the indigenous carrier-borne aircraft development programme," the spokesperson added. 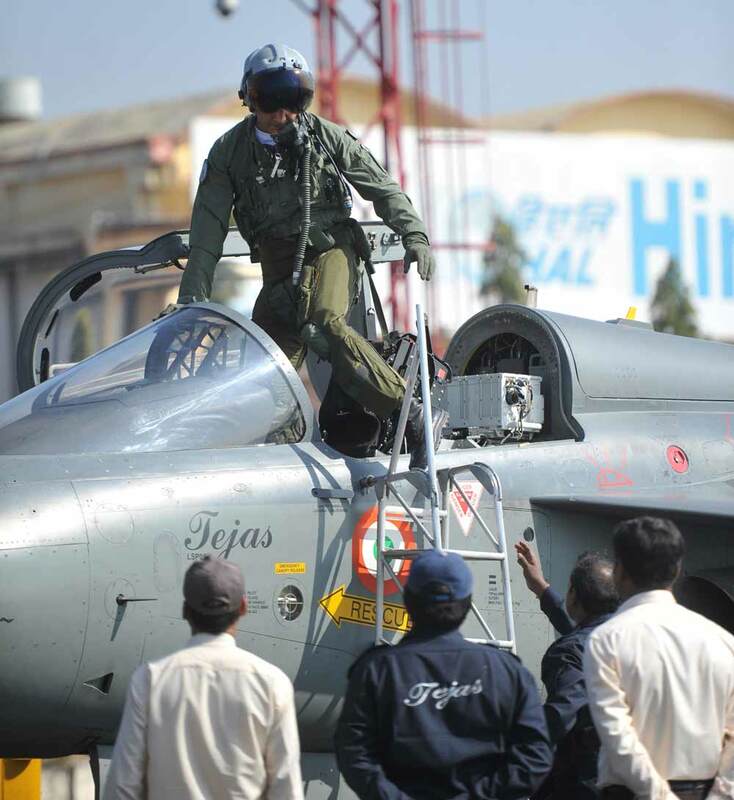 HAL Chairman T Suvarna Raju said the dedicated efforts of engineers of Aircraft Research and Design Centre, a premier Division of HAL, for the complex landing gear design, which is significantly different from the IAF version, made this flight possible. The design teams were guided by P S Subramanyam, Director, ADA, who ensured that systems meet the stringent requirements of carrier-borne aircraft. 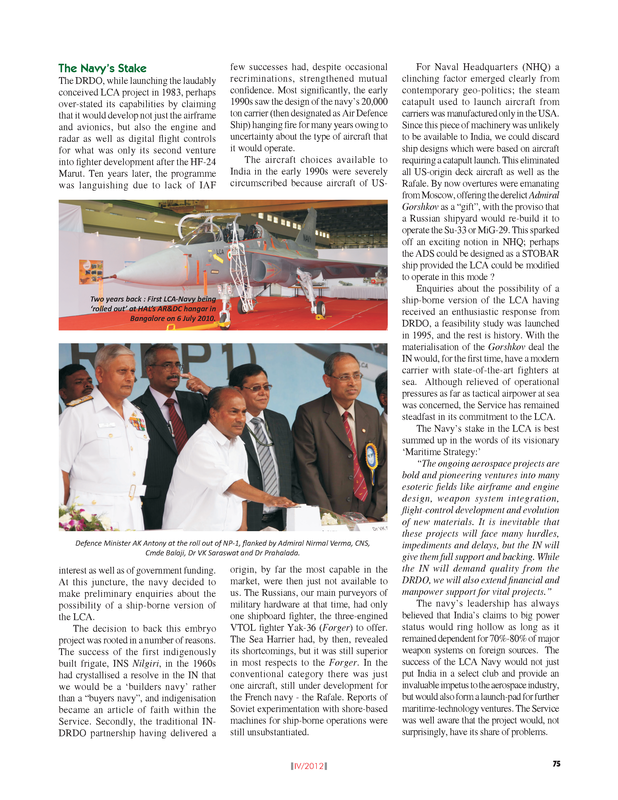 LCA (Navy) Programme Director Cmde C D Balaji (Retd) said that the NP-2 has been built with vision and foresight. "The successful maiden flight of NP-2 is a testimony to the tremendous efforts put in by scientists and engineers to enable flight of the first LCA naval fighter. With one trainer and fighter in its stable, we can proudly state that the indigenous carrier-borne fighter programme is making headway and acquiring momentum," P S Subramaniam said. 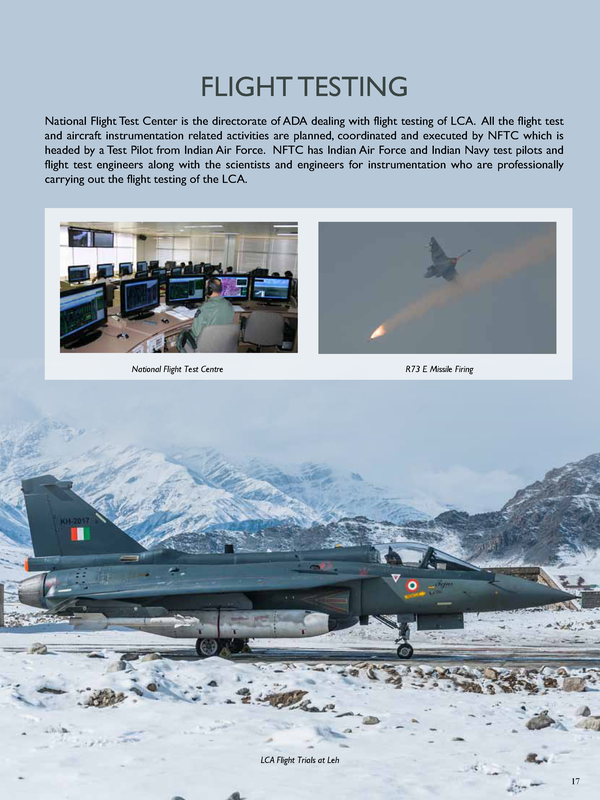 When the first prototype of India's LCA Navy (NP1) roared off the ski-jump at the Shore-based Test Facility (SBTF) for the first time on December 20 last year, no one from the team observing the jet from the flightline and from telemetry stations knew that something unseen had happened. Something that would only become known later in the day when performance data was analysed. And it was good, solid news, much needed for a team that has seen little more thanquestions, derision and barely veiled bemusement. Importantly, it was the first time the team felt it had an answer to the 'what use is this platform, really?' question. first time in 2012, had remained mostly on ground for the next two years, undergoing an extensive undercarriage re-design. 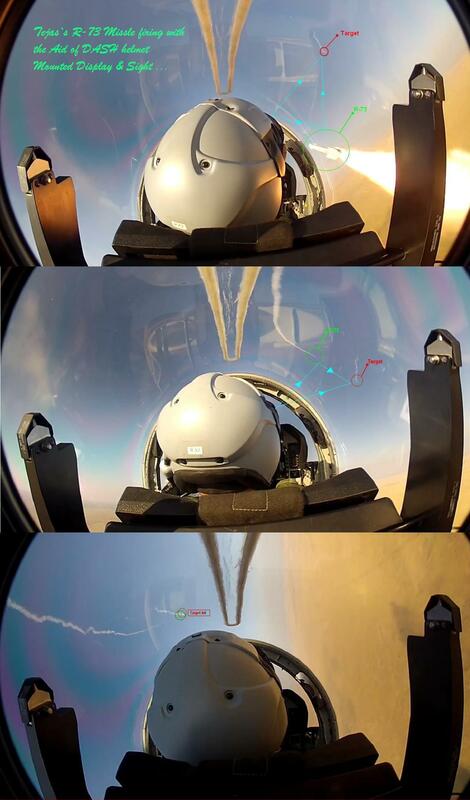 In 2013, it climbed cautiously back into the air before going supersonic last year, and finally getting set for a shot off the simulated shore-based carrier deck in December 2014. According to sources on Team LCA-N, "For a ski jump launch, the final design intent is to have a zero rate of climb after ramp exit to get the best performance of the aircraft. 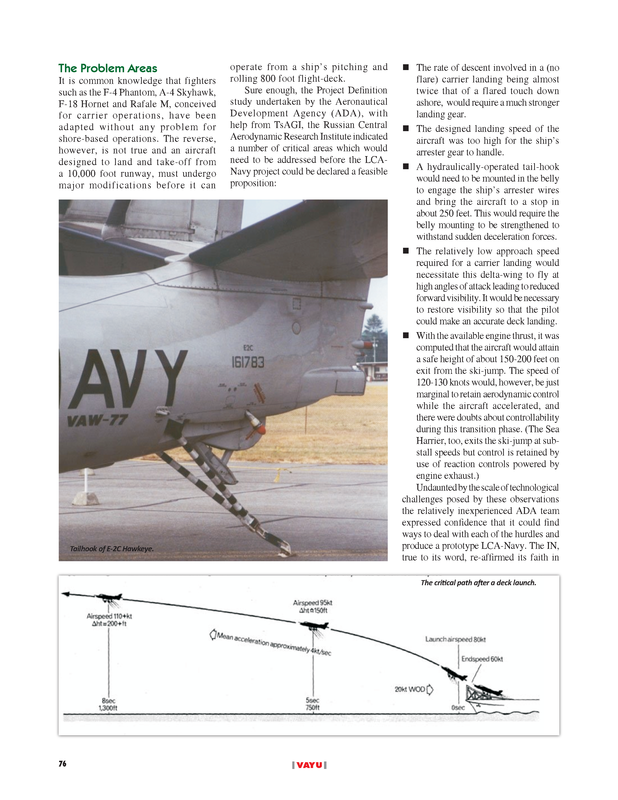 This places a great premium on the ability to fly at the maximum possible angles of attack with adequate control and also to have a complete understanding of the thrust available." Top sources on the team say the NP1 was flown a few times conventially before the ski-jump test to soak up the thick sea-level air in Goa. As expected, engine performance was markedly better. Spirits were high, but as has become the norm on milestone tests in the Tejas programme, there was pervasive nervousness. Surprises can be nasty. And the ski-jump test would leave no recovery time if something went wrong. As the Team says, "The first attempt at any new activity is fraught with uncertainties and potential surprises. Given the 'leap off the edge' nature of the first launch, all the major possibilities of failure were identified and options to handle them were built into the plan." The test flight team decided to lock 5.7 degrees as the minimum climb angle for the NP1 once it made the leap off the ski-jump. When the aircraft actually did roar into the sky, the actual minimum climb angle was observed to be in excess of 10 degrees. Also, the NP1 achieved an angle of attack after ramp exit of 21.6 degrees, giving the team healthy new margins to work with in terms of performance. Simply put, the aircraft performed better than the team ever thought it could. Now you can argue that safety margins always allow for bumps in performance, but the number crunch that evening demonstrated that the NP1 had exceeded expectations healthily. The test team's verdict: "This is certainly a welcome bonus for an aircraft that has been so often derided for lack of thrust, and this excess will be accounted for in future launches. Also the angle of attack after ramp exit reached 21.6 degrees which augers well for utilisation of even greater angles of attack for launch. It should certainly allay fears over the use of such high angles of attack and remove much of the pessimism that has surrounded the utility of the programme." The NP2 single seat naval fighter prototype that took to the air yesterday will join sea-level flight test next month and quickly demonstrate its own carrier compatibility before long. The LCA-N team, in the meanwhile, has its spirits up. 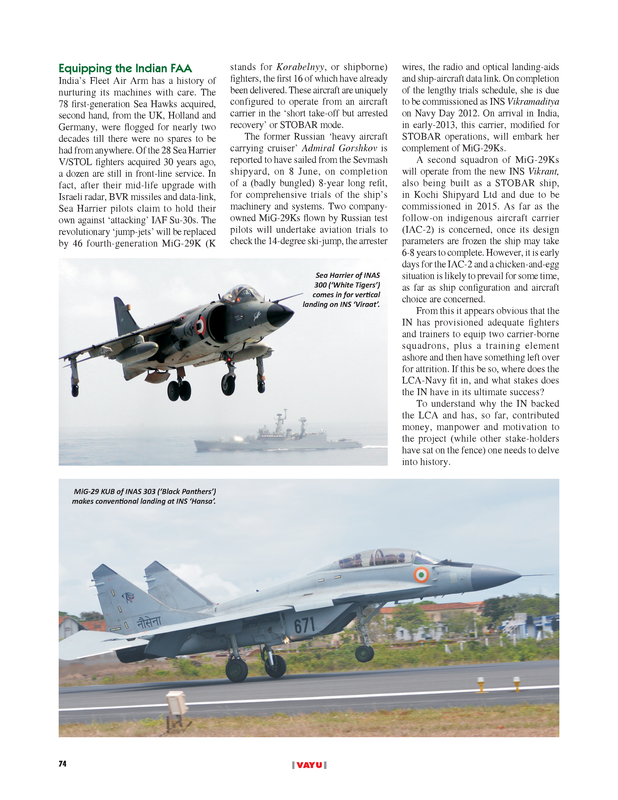 The Indian Navy, which has ordered six of LCA Navy Mk.1 has indicated, albeit unofficially, that the Mk.1 platform is likely never to see actual carrier service. While the performance surprises of December aren't likely to change that, the numbers have changed. And that's something. ADA says the wealth of data collected from the maiden ski-jump mission has been fully analysed. "The areas needing attention have been identified. The CLAW (Control Law) and Flight Control System (FCS) software will be updated for higher performance. The Nose Landing Gear (NLG) extension was faster than predicted. Minor modifications to the NLG will also be done," says Balaji. 1. 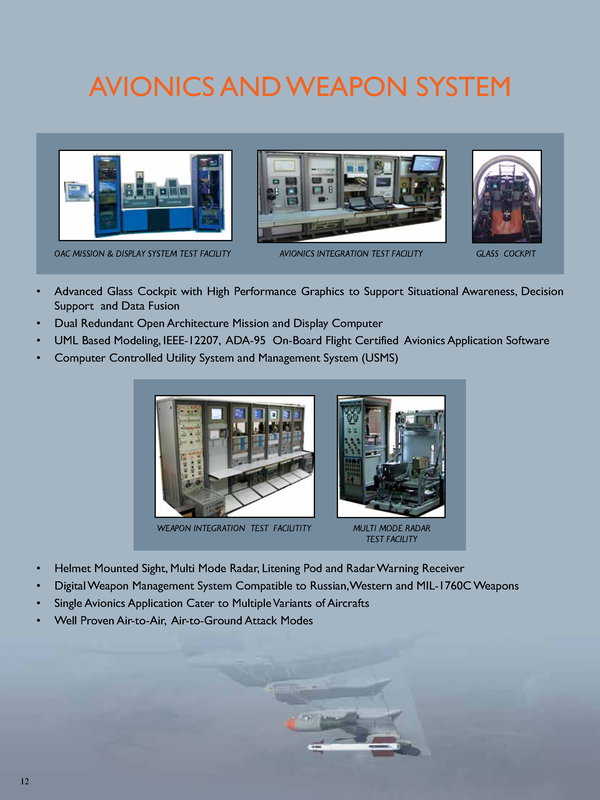 The Control Law and Flight Control System (FCS) Software needs additional coding and updating to handle the higher performance of the platform. "This will enable extracting the best performance of the aircraft in a safe manner as the margins are progressively reduced," say sources on the team. 2. The second take-away was mechanical, and just as crucial: the NP1's nose landing gear extension routine was faster than predicted or expected. Sources on the team confirm that, "Minor modifications to the nose landing gear are in progress and would be available on the aircraft by end Jan 15." 3. Another lesson learned, according to team sources, is that design teams will need to be "even more pragmatic in keeping margins as excess reserves get compounded and could lead to load exceedence." 4. The team is also considering excessive airspeed to be something to look out for. "While on first appearances, excessive airspeed appears to be harmless, it could aggravate aircraft control problems if flight control failures are encountered," team sources said. Once the 2 tangible fixes are complete, and operating procedures on the other two are in place, the scene shifts back to Goa in March for more ski jump flights, where the flight test team will work towards reducing margins to arrive at final performance levels -- the first final, or close to final operating parameters of the LCA Navy. 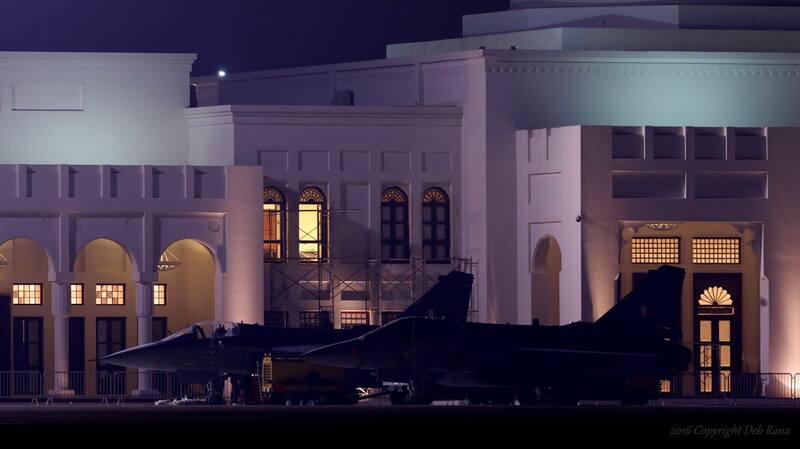 "Also, it is planned to initiate activities towards arrested recovery starting with dummy approaches on the landing area, ‘taxi-in’ arrester hook engagements on to the arrester wire at the SBTF and final flight engagement," say team sources. 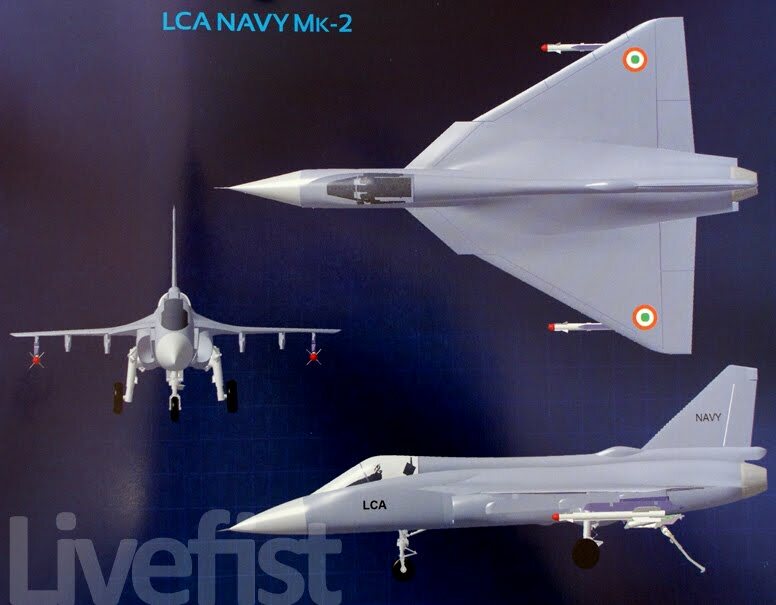 The Indian Navy funds 40% of the LCA-N fighter programme, and intends to purchase at least 46 LCA Navy Mk.2s, the more powerful and capable proposition based on the current Mk.1 platforms in flight test. Much more is known now about what the Mk.2 will really involve. But first a short dash back 12 years. The LCA Navy programme was sanctioned in 2003. The Aeronautical Development Agency (ADA), which had been entrusted with converting the standard air force variant, imagined it would take six-seven years to convert the platform into a naval prototype. Amazingly, the team at the time officially noted that the changes to the aircraft would be restricted to 15%. As we now know, things turned out quite differently. 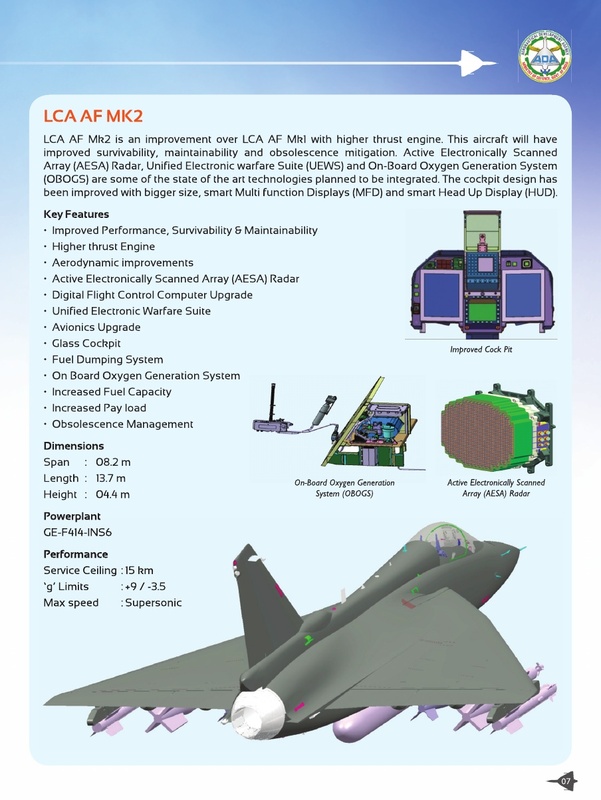 A Team LCA-N official explains, "The major constraint of design space due to the existing LCA AF platform resulted in a sub-optimal design and compromises leading to the LCA Navy Mk-1 Variant being heavier than anticipated." 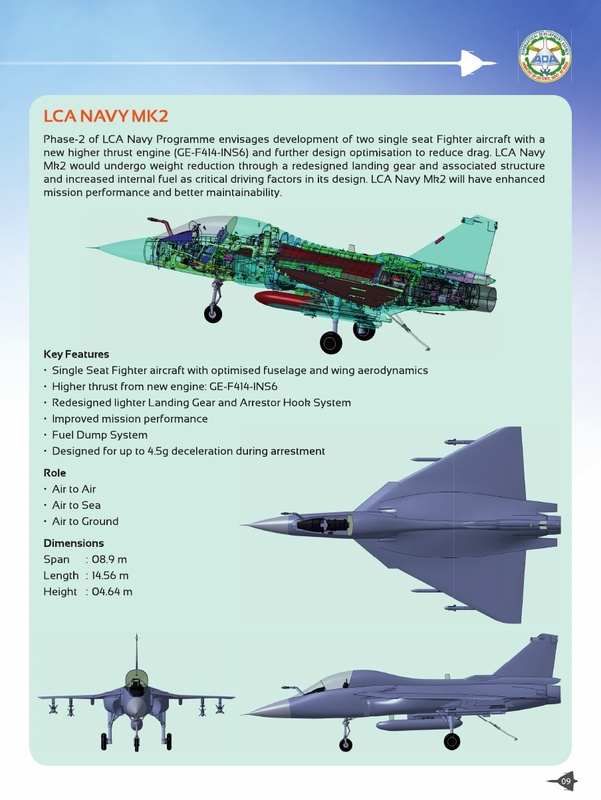 Six years into the project, it was officially noted by the ADA after months of discussions with the Indian Navy, that the LCA Navy Mk.1 wouldn't meet all the customer's capability requirements. These 'shortfalls' were put down to the platform's 'sub-optimal design'. 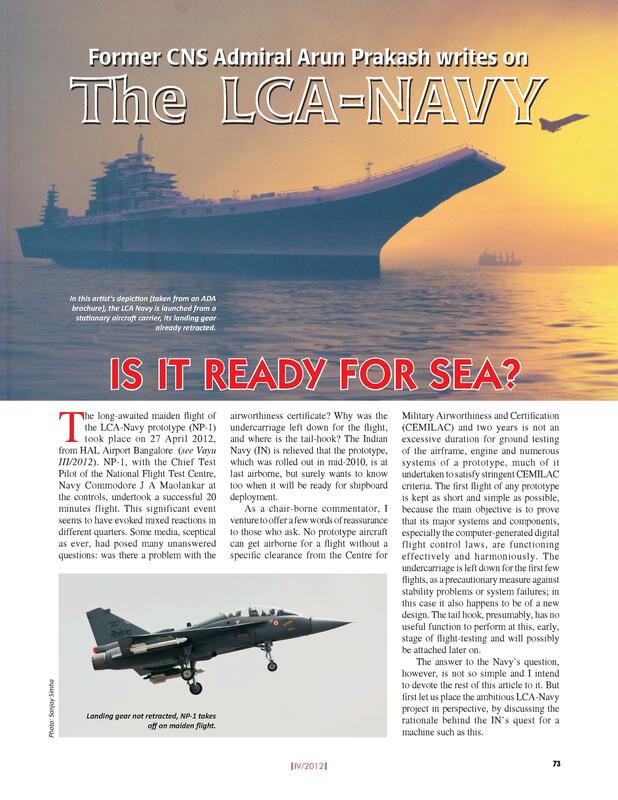 It became imperative that a significantly more powerful and capable Mk.2 of the LCA Navy would be the platform that the Indian Navy would spend its real procurement rupees on. 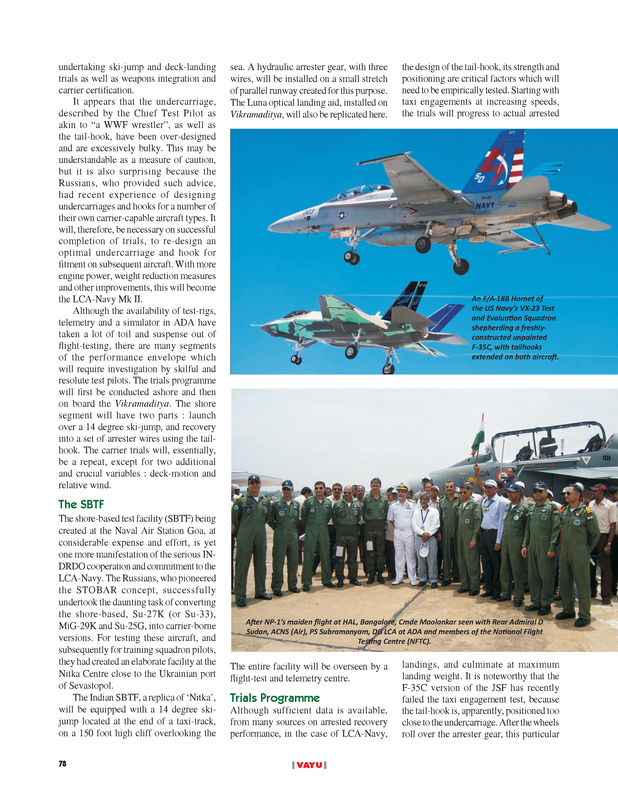 In 2011, the ADAdisplayed modelsof its proposed Mk.2 for the IAF and Indian Navy. 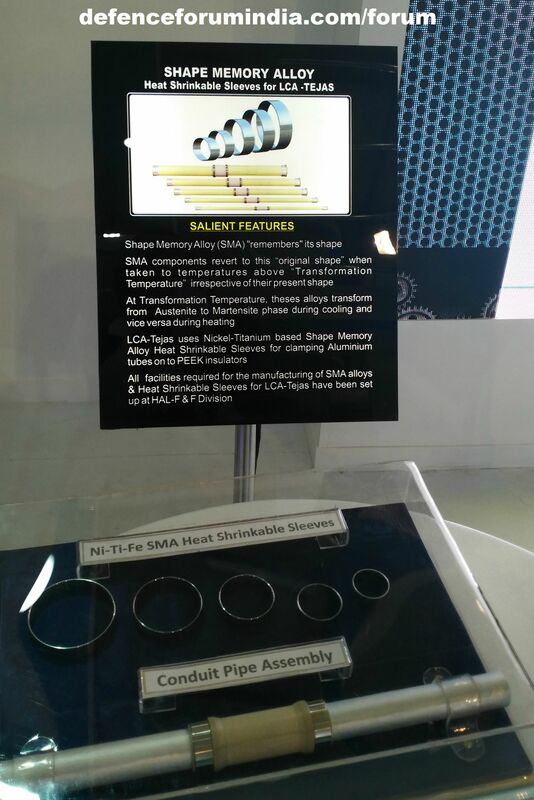 Apart from a brief wishlist of performance enhancements, not very much was clear. And to be fair, the team itself was awaiting greater clarity at the time. 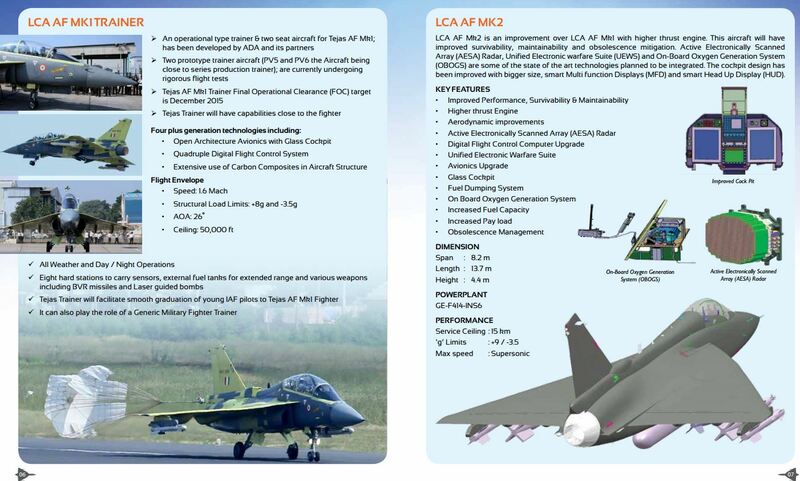 Officially, according to Team LCA-N, "This programme (the LCA Navy Mk.2) is envisaged to minimize the constraints of LCA Navy Mk-1 and would have significant changes in design to improve aerodynamics, landing gear & arrester hook optimization, structural design optimization, updated sensors, avionics and flight control system. The landing gear mass of the LCA-Navy Mk.2 aircraft is likely to be reduced by 200-250 kg, albeit being capable of a higher take-off mass." Mk.1 prototypes NP1 and NP2 are now firmly in flight test. Apart from the number of seats in their cockpits, there are other differences: the NP2 naval fighter prototype flies with a modified Israeli Elta EL/M-2023 multimode radar (MMR). 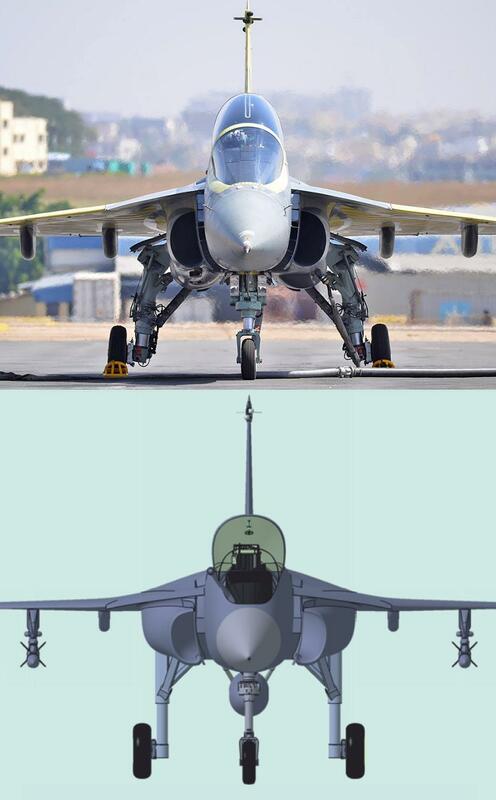 Sources add, "In terms of aircraft performance the two Mk.1 prototypes are similar. In that sense, both the prototypes will contribute equally for the carrier compatibility tests from the SBTF. The focus on sensor and weapon capability demonstration will be on NP2." 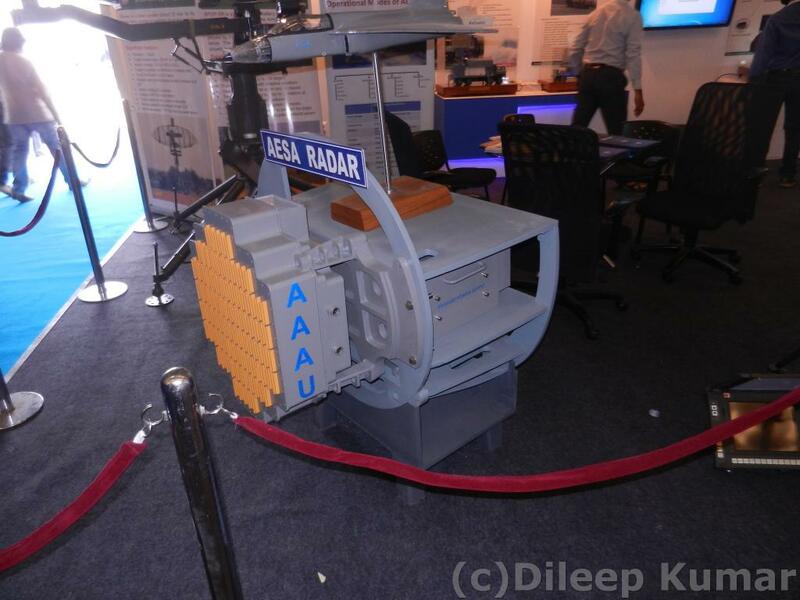 The Mk.2 aims to sport the in-development L-273/Uttam (the project name, incidentally,revealed first on Livefist) active array fire control radar being put together by the DRDO's Electronics & Radar Development Establishment (LRDE). According to official literature, the radar, intended to also be retrofitted on the Mk.1 aircraft that enter service,modes includeair-to-air multi-target detection and tracking, multi target air-to-air combat mode, high resolution raid assessment, high Resolution air-to-ground mapping (SAR mode), air to ground ranging, real beam mapping, doppler beam sharpening, ground moving target indication and tracking and terrain avoidance. In air-to-sea mode, sea search and multi target tracking, range signature and inverse synthetic aperture radar will apply. But that's just the radar. The the No.5 prototype NP5 will be a Mk.1 twin-seat trainer prototype, the construction of which has already begin at HAL. The NP5 was proposed to save time and as a risk mitigation exercise using existing resources and funds. 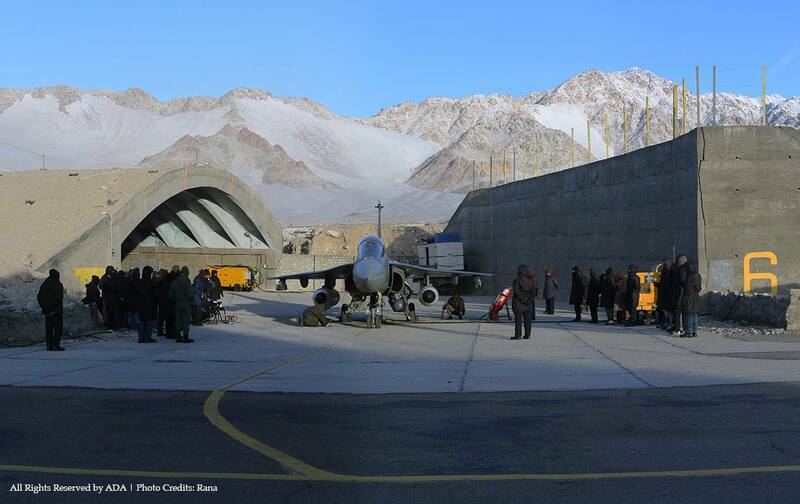 Recently LCA has successfully passed cold weather test at Leh with its indigenous fuel starter. 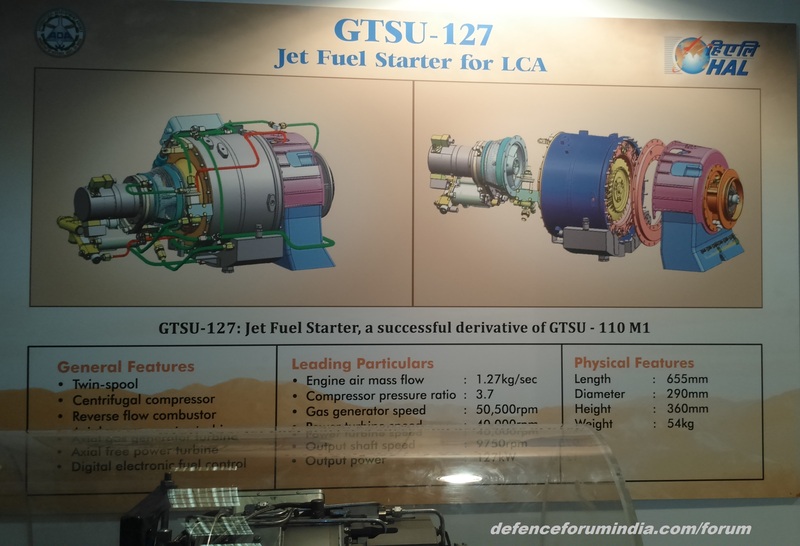 Indigenously build Jet engine starter for LCA Tejas, displayed at Aero India 2015. 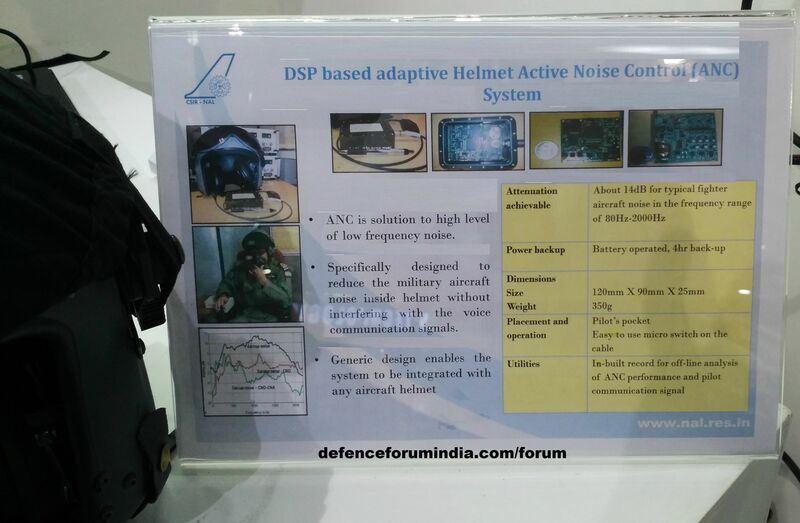 Light combat aircraft , LCA Noise cancellation/reduction system for Pilot by NAL at Aero India, 2015. 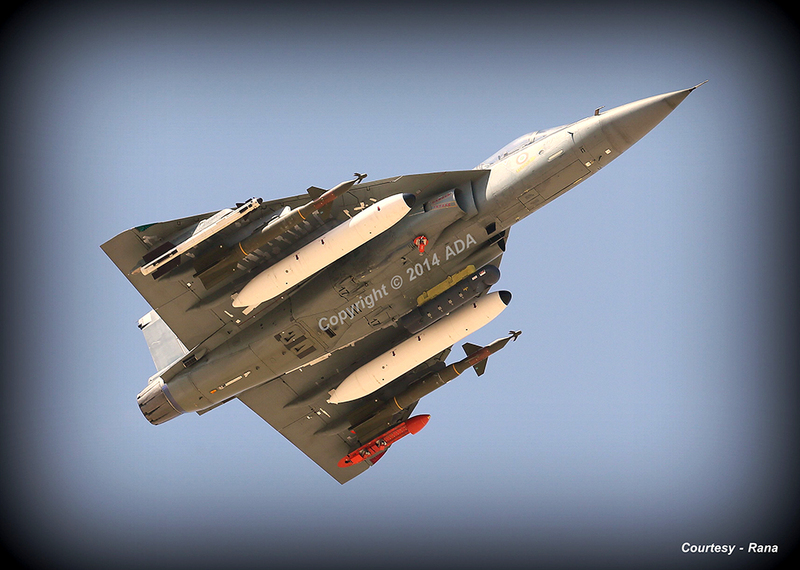 The look and feel of the all-glass cockpit that the LCA Tejas Mk.2 will sport is fructifying with the Aeronautical Development Agency announcing that the main display will involve two 6x8 Smart MFDs and one 5x5 smart MFD in centre console "based on the latest and best design technologies currently available in the market". 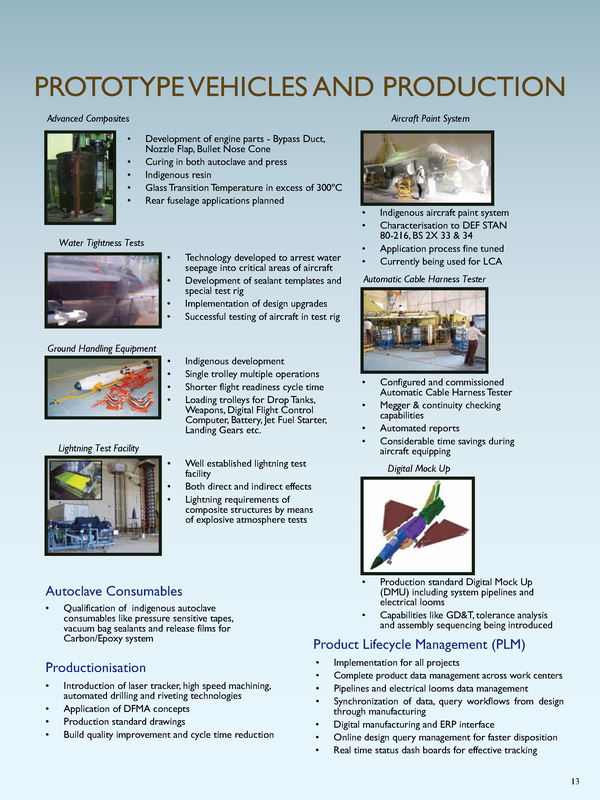 The ADA is looking for a full solution to its SMFD needs for the LCA Mk.2 program. The capability exists in country, though a competitive process will now ensue. 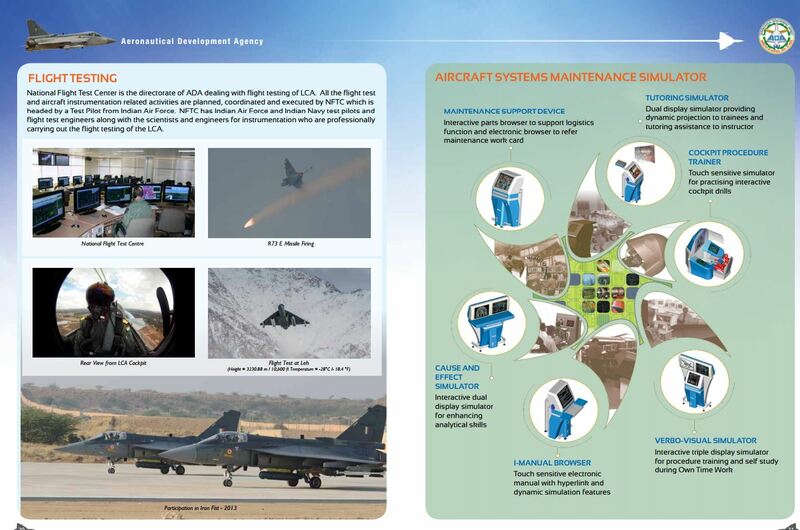 The ADA is looking for active matrix TFT color liquid crystal display SMFDs with separate LED backlight for day and night modes with redundancy for backlighting in both the modes, touch screen capability (will be the first Indian aircraft to sport touch screen panels), anti-reflection coating, full sun readability and night vision capability, compatibility as per NVIS Class B MIL-STD-3009B, EMI protection. The bezel shall have push buttons, rocker switches and rotary knobs, auto brightness control (ABC) of the display using illumination sensors placed on bezel, capability for windowed image overlay driven by the display processors, dual channel video to support redundant display processors, continuous health monitoring with periodic built-in-test reporting along with its normal operation, provision for operator Initiated Built-In-Test, In-situ programming capability. Conduction Cooled with no external cooling for the entire range of operating temperature. Just looking at the wing design... the wing root above the engines... I wonder if the Tegas would benefit from that wing root control surface on the PAK FA? the navy version has LEVCON's, like the ones on pak fa , primarily for helping with landings and takeoffs , but ADA says it will help with sustained turn rates as well. 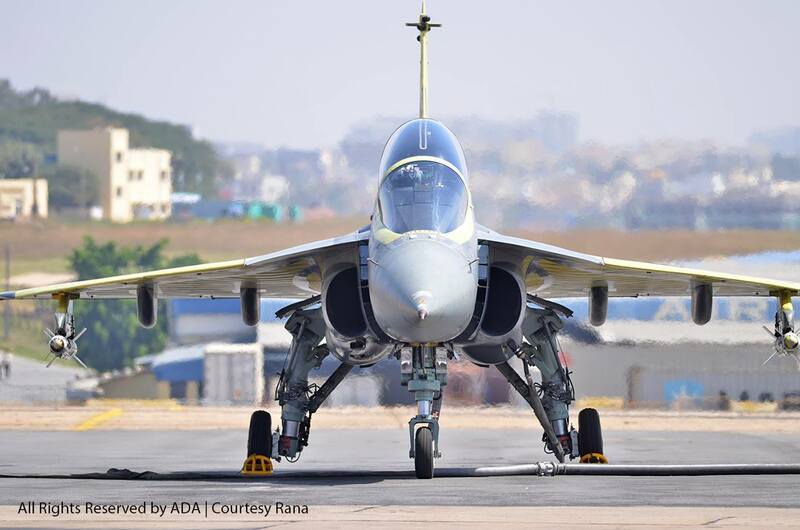 Bengaluru, June 29: The Light Combat Aircraft (LCA) Tejas is all set undertake critical test flights carrying an array of missiles and bombs to complete its scheduled weapon trials. ADVERTISEMENT Top sources with the Ministry of Defence (MoD) confirmed to this Correspondent that the integration of Russian-made Close Combat Missile (CCM) R-73 has been completed. 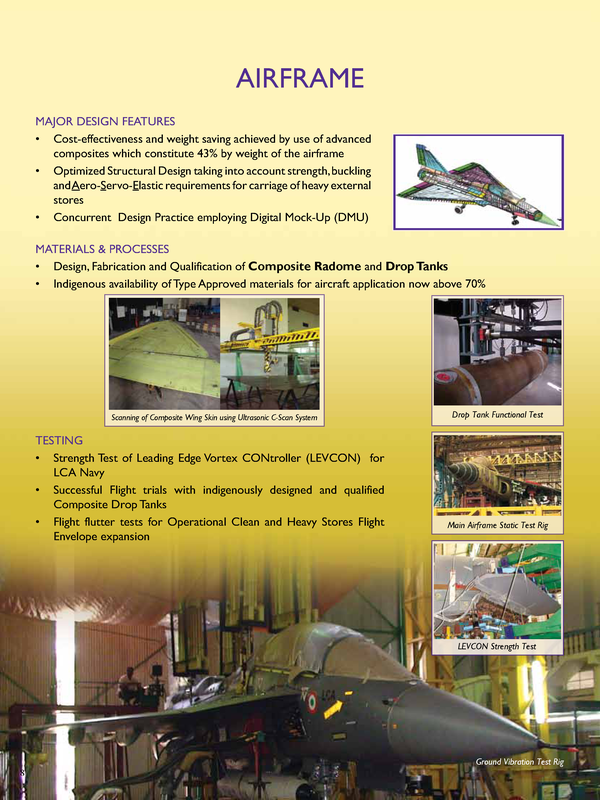 Tejas The ground integration of the Israeli-made CMM Python-5 too has been completed ahead of the flight trials. The Beyond Visual Range (BVR) missile Derby has also been integrated on to the aircraft. 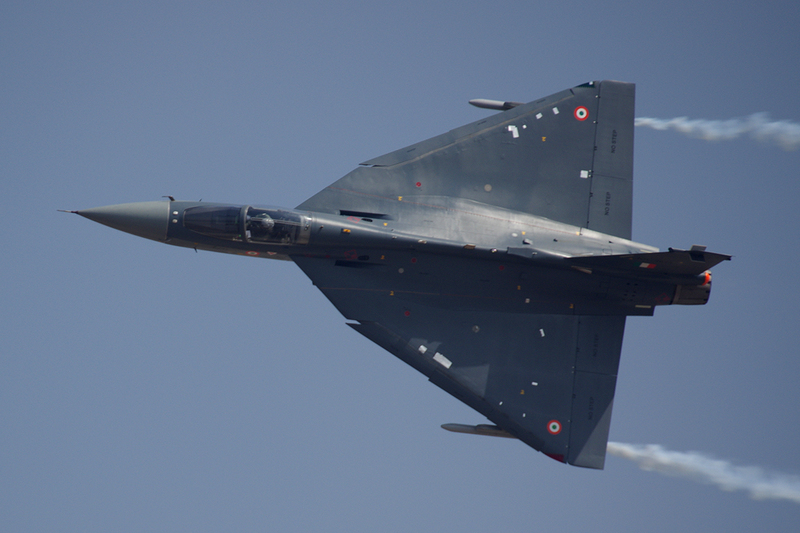 Tejas can carry two CCMs with a range of 15 km at the extreme end pods. These missiles can home on to the enemy aircraft based on their heat signature. 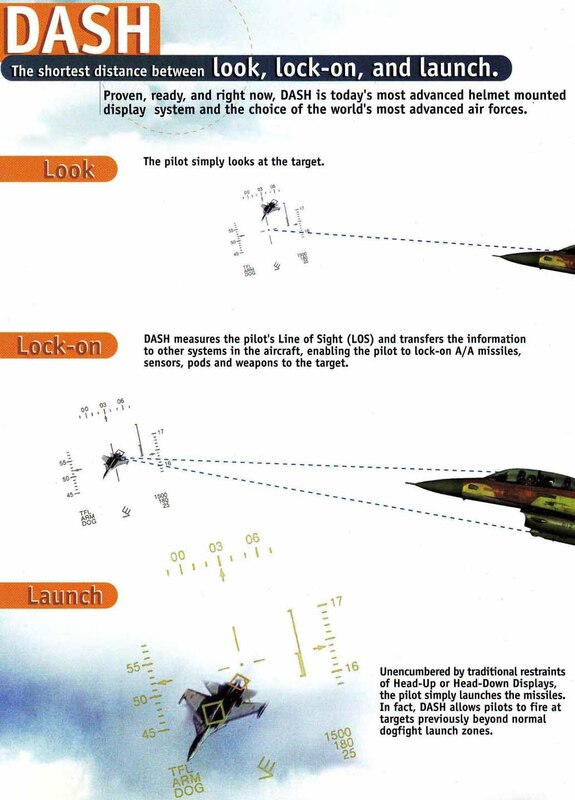 The Derby (two missiles) is being integrated on the mid-board-pods of Tejas and they have a range varying between 80 and 100 km. 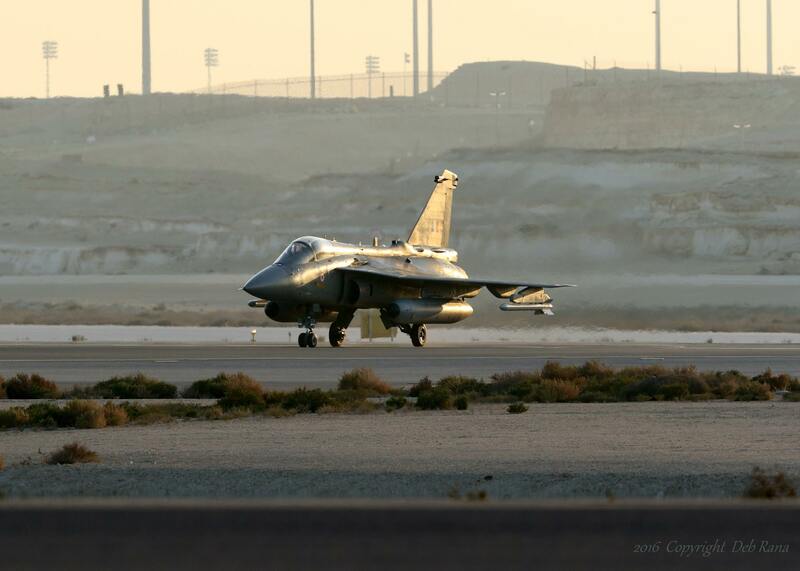 The home-grown fighter carries the laser-guided bomb (LGB) Griffin, which has a range of 5-6 km. 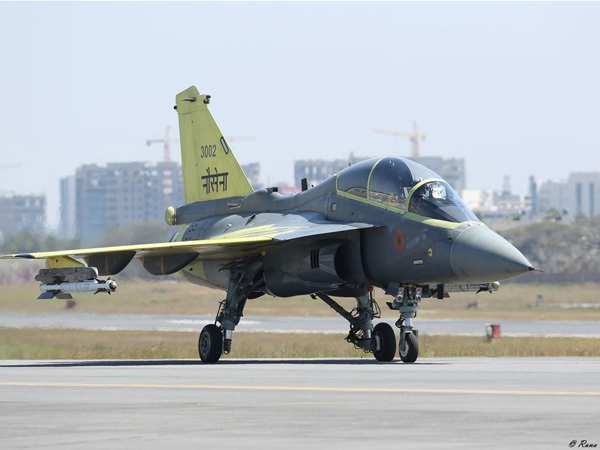 Tejas will also carry LGB Paveway, which according to sources, has already demonstrated its capabilities with an accuracy of 1 meter. "These missiles have demonstrated their capabilities to strike with precision during day and night," says an official. BVR missiles to be tested in July The laser-designator pod also has been integrated on to the aircraft. 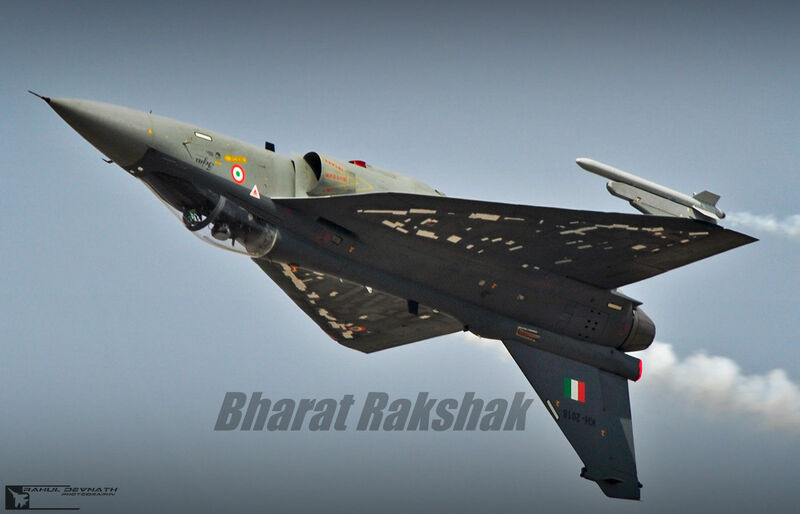 "Tejas can carry drop tanks with 1200-litre and 800-725-litre capacity. 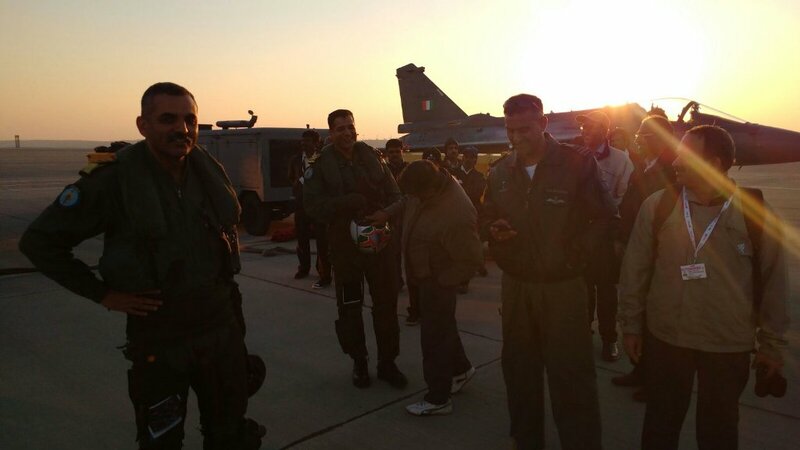 The R-73 has completed flight trials in Goa, Jaisalmer and Jamnagar over 10 times. The LGB has been tested for six times now," the official said. The BVR testes scheduled to be held in May has now been fixed for July at forward bases. 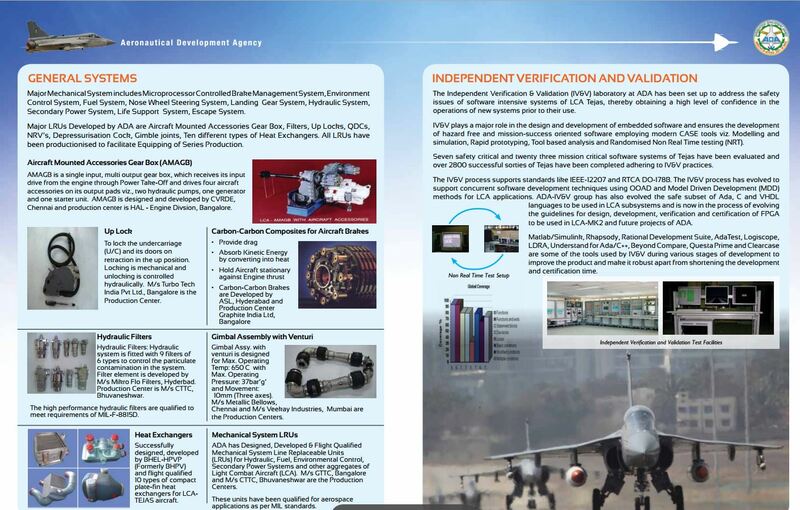 "The CCMs and BVRs used on Tejas are capable of SSKP (Single Shot Kill Probability). In a war scenario, the pilot can increase the kill probability by opting for firing both CCMs, or both BVRs together," the official added. 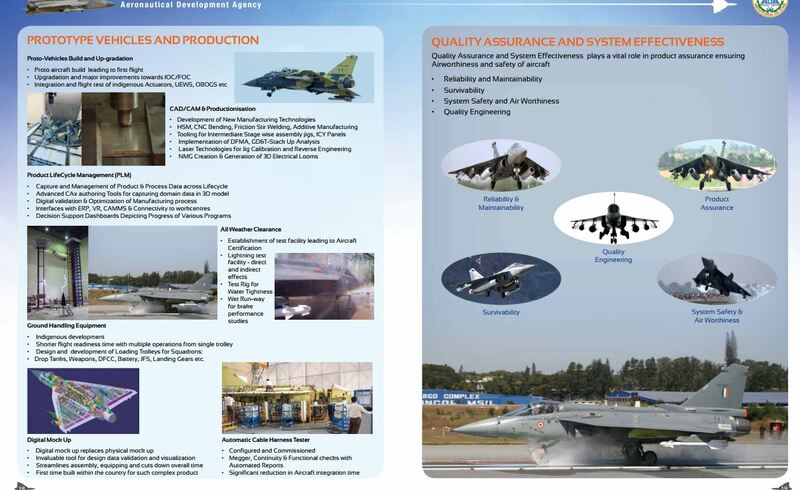 The integration of Russian-made gun for Tejas Gsh-23 has been completed. The gun has been already ground tested at a facility in Nasik. FOC may spill over to March 2016? 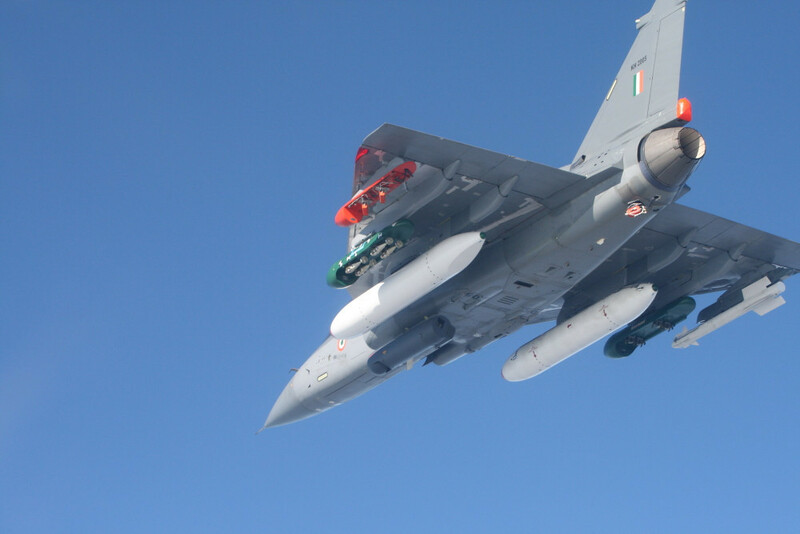 When asked whether Tejas would skip the December 2015 deadline for Final Operational Clearance (FOC), the top MoD official said: "There are still some passing clouds hanging around. But the teams from Aeronautical Development Agency (ADA) and Hindustan Aeronautics Ltd (HAL) are confident of beating the deadline." However, another official told this Correspondent that the programme might skip the December deadline by maximum three months. "May be it will spill over to the last quarter of this FY. The FOC will be in by March 2016," he said. Refueling probe, nose cone radome awaited To complete the FOC points, the air-to-air refueling probe from Cobham hasn't arrived yet. The nose cone quartz radome too is being awaited. There are already some rumours floating around in the corridors of HAL and ADA over the delay in accessing these pending foreign systems. 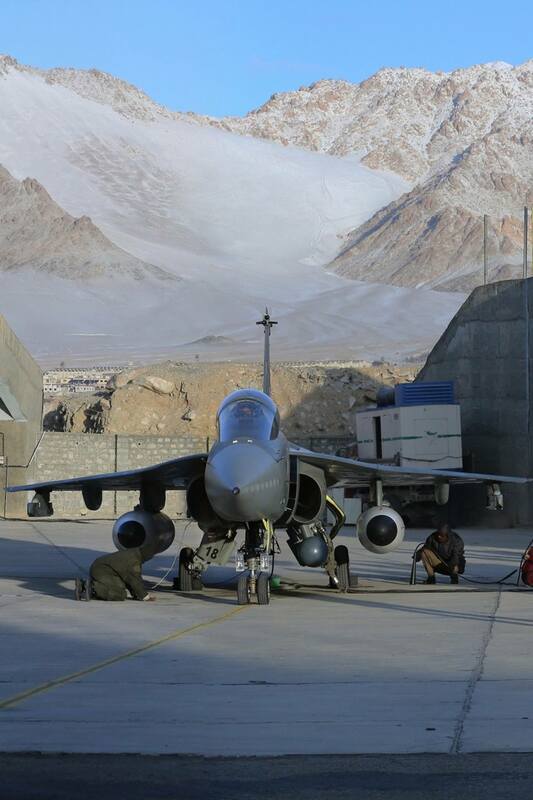 A Defence Research and Development Organisation (DRDO) official says that they are hopeful of thrashing the issue. "Definitely there are concerns. But, we are hoping to get clarity by July. Hopefully, we should have access to all hardware within a month. We don't see any more technology challenges after the integration of these pending items," says the senior DRDO official. ADA says that almost 75 per cent of work related to FOC has been completed. 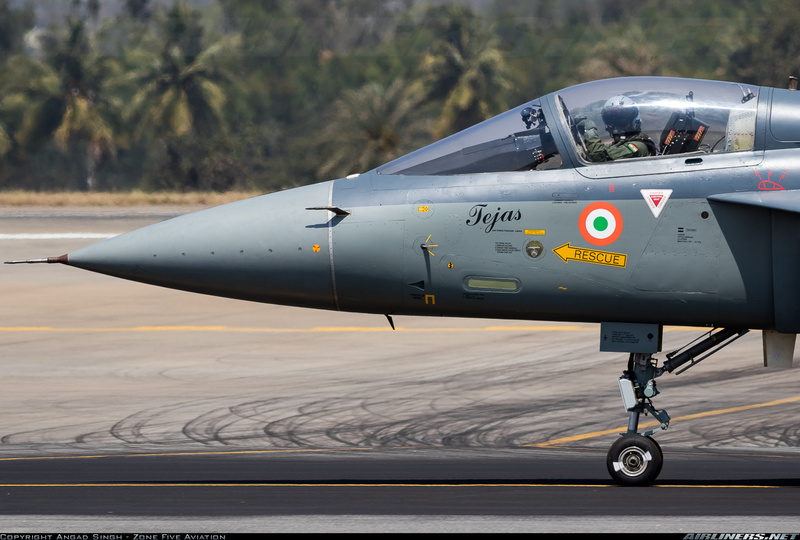 The siblings of Tejas have completed 2971 flights so far logging around 1909 hours, at the time this piece went live on the web. 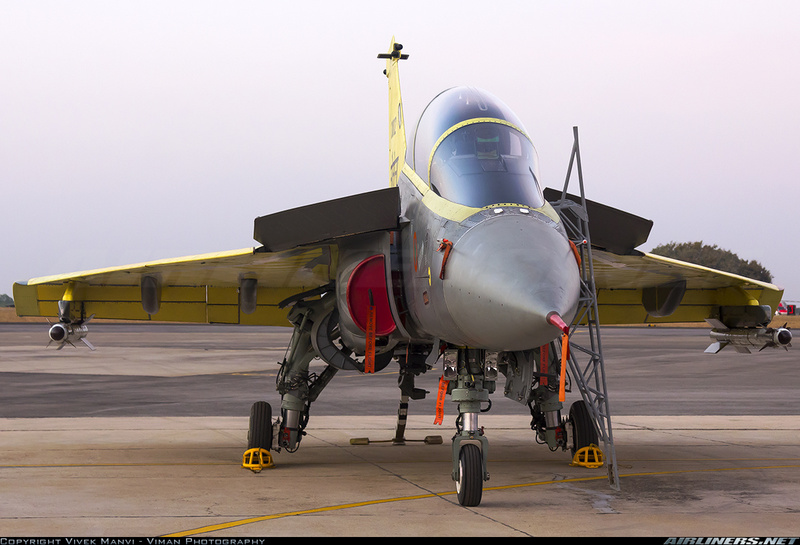 The much awaited Final Operational Clearance of India’s Tejas Light Combat Aircraft is again delayed due to non-supply of newly designed quartz radome and a bolt on inflight refueling probe by Cobham UK. 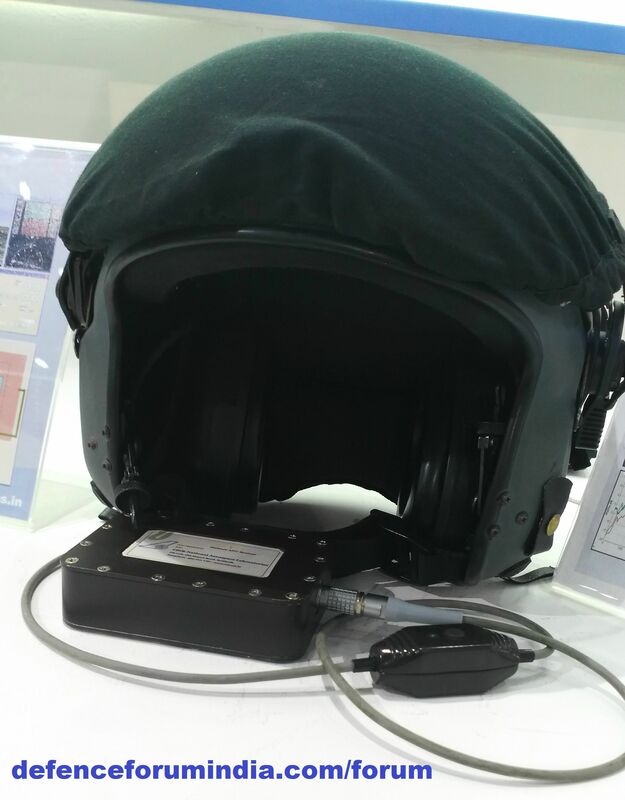 Other than software tweaks, the main difference b/w IOC-2 and FOC standard will involve the integration of a newly designed quartz radome and a bolt on inflight refueling probe, both supplied by Cobham UK. The quartz nose cone in particular is expected to increase the detection range of the ELTA MMR on onboard from 50 Kms to 80 plus Kms. Cobham has missed three successive delivery timelines (Oct 2014, end of Jan 2015 and April 2015) for both items and was expected to deliver the first of three ordered units by the end of April 2015. That will delay FOC even more. 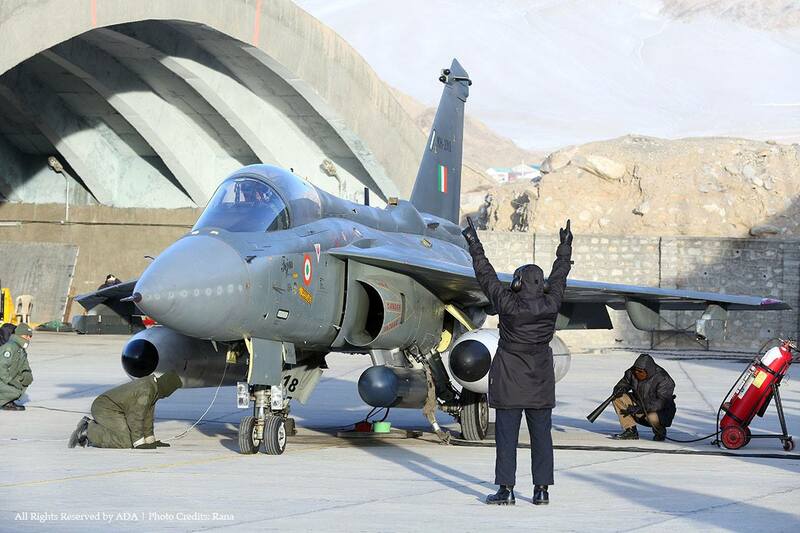 Defense Minister Manohar Parrikar had handed over to Tejas to Indian Air Force (IAF) earlier this year. However the handing over does not make the light combat aircraft combat ready due to inadequacies caused by non-supply of quartz radome and a bolt on inflight refueling probe by Cobham. “There is no other reason than non-supply of newly designed quartz radome and in-flight refueling probe by Cobham UK, the next FOC is scheduled for March 2016,” DRDO Chief Dr S Christopher told Indian media Monday. 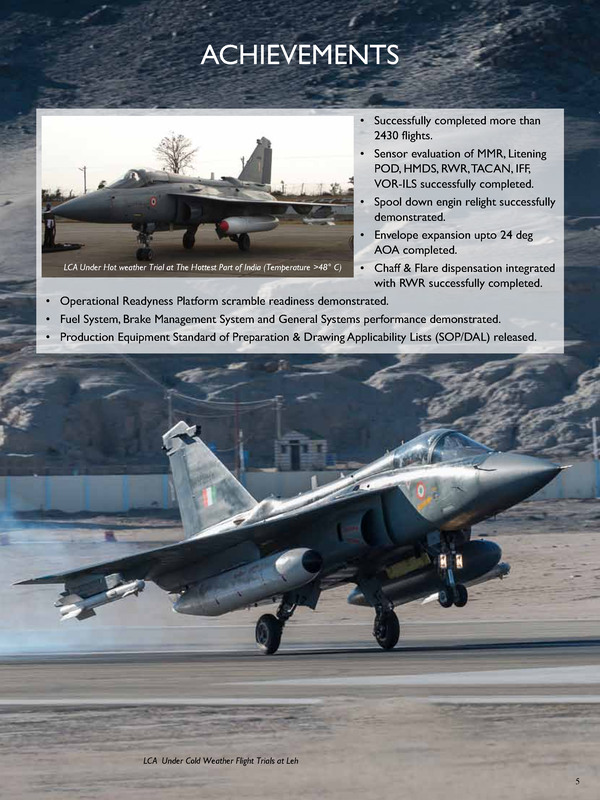 “There are no technological issues deferring FOC but merely process related ones subject to the vagaries of the foreign supplier for the two afore said parts,” Dr Tamilmani, Director General (Aero),DRDO had said during the first time delay by Cobham. 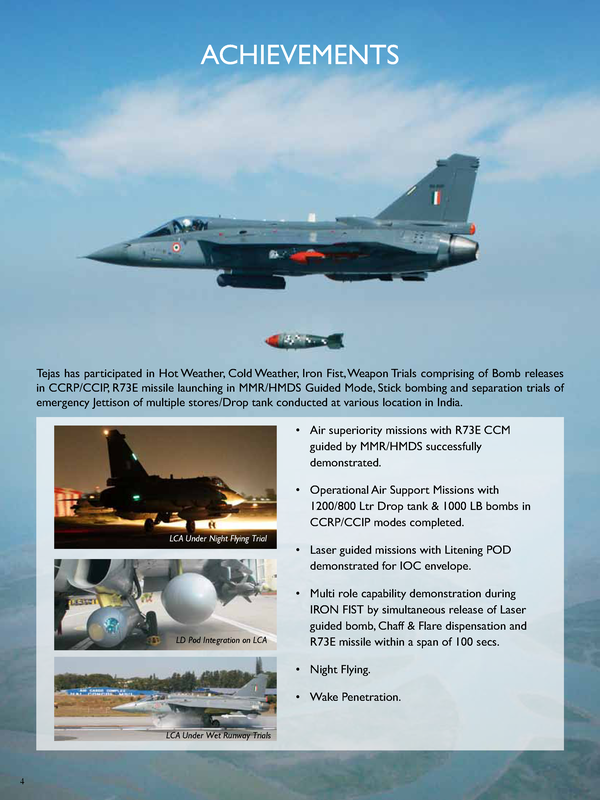 "NEW DELHI: Frustrated by the persistent delays and design flaws that have dogged the Light Combat Aircraft, or LCA, programme, the government is seriously considering whether to hand over the project to build a new, improved version of the 'Tejas' indigenous fighter plane to the private sector for timebound and efficient execution. 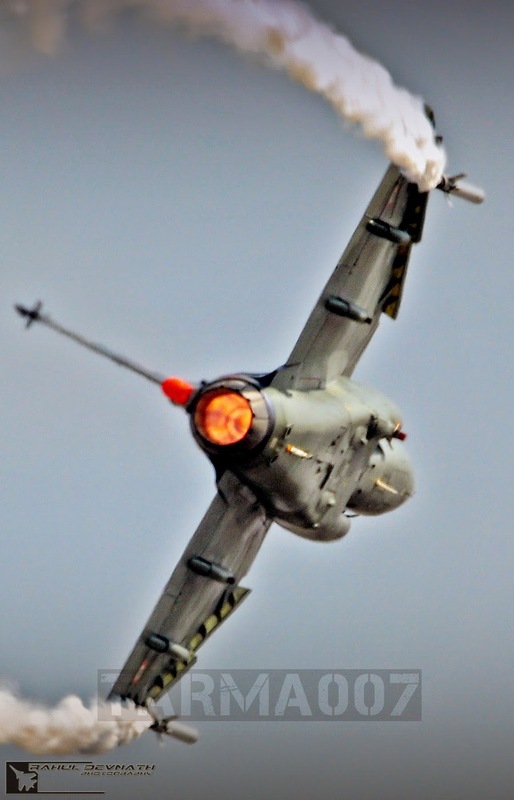 Sources said discussions have taken place in the top echelons of the government on the best ways to inject urgency into the Tejas programme, possibly even with the involvement of a private sector player that would be clearly incentivised to deliver a new aircraft on time and within budget.Should such a move fructify, it would mean a radical departure in the long-prevalent approach that only state-run firms could undertake strategic programmes of this nature. This thinking, independent experts say, is yet to give the country a combat-ready modern fighter despite being in the works for more than three decades. 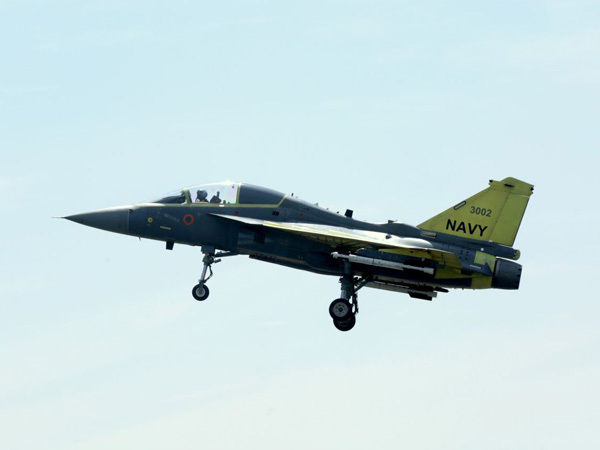 At stake for private sector participants is a potential order for more than 160 improved Tejas Mk II fighters that the Indian Air Force desperately needs to plug vital operational gaps and which top echelons of the government increasingly feel the state-run agencies involved in the LCA - Hindustan Aeronautics Ltd (HAL) and the defence ministry's Aeronautical Development Agency (ADA) - do not simply have the capacity to meet. "It is very clear that the LCA program cannot be allowed to go on as it is. There are not enough resources available to complete the project in the timeline required. A private company would be accountable and would invest in the project," a senior official aware of the government's thinking told ET. This person requested anonymity because of the extremely sensitive nature of the topic. A defence ministry spokesperson said he was not in a position to immediately comment. Officials at DRDO were were not available for comment. HAL officials said they were unaware of the discussions. 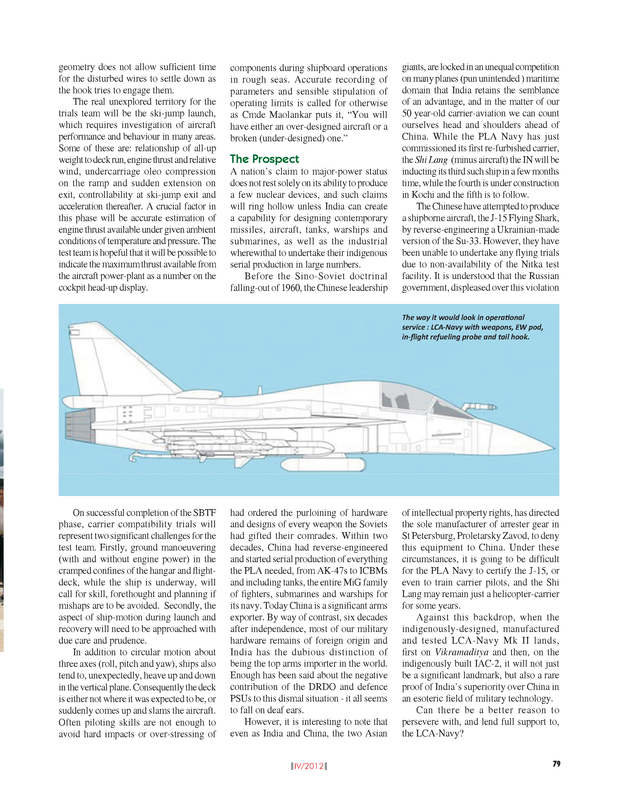 While the contours of the plan are still being discussed, one thinking is that the Indian private entity selected could take on an international collaborator to redesign the fighter with a new power plant and reduced weight and would be responsible for the timely delivery of the aircraft. 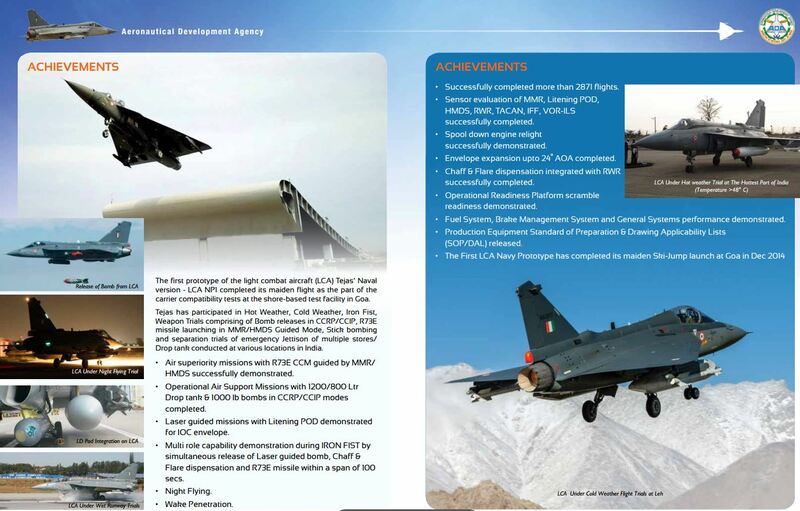 Another proposal doing the rounds suggests the setting up of a special purpose vehicle for the project in DRDO and HAL, the entities now responsible for the LCA, could be partners along with the private sector. A foreign collaborator could also be a part of this." 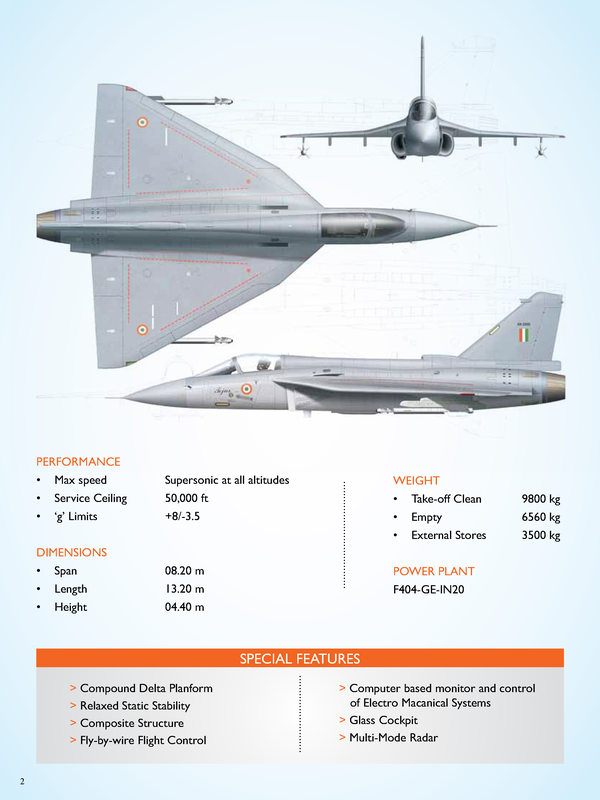 The Indian Air Force continues to mull alternative plans for its future combat aircraft fleet. 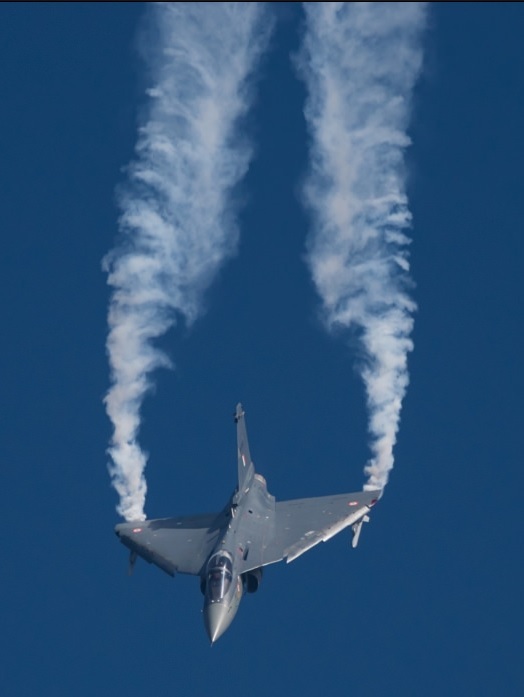 But despite a recent call by chief of staff AM Arup Raha to speed up production of the indigenous Light Combat Aircraft (LCA), a senior MoD official has told AIN that India will exercise its option for 36 more Rafales in a year’s time. The contract for the first 36 is expected to be signed shortly. 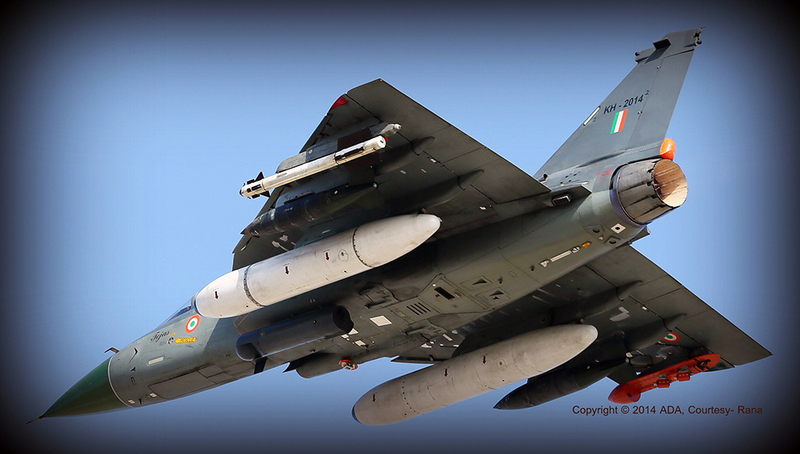 Despite years of development, the IAF has received only one LCA from Hindustan Aeronautics Ltd (HAL), for weapons integration and testing. 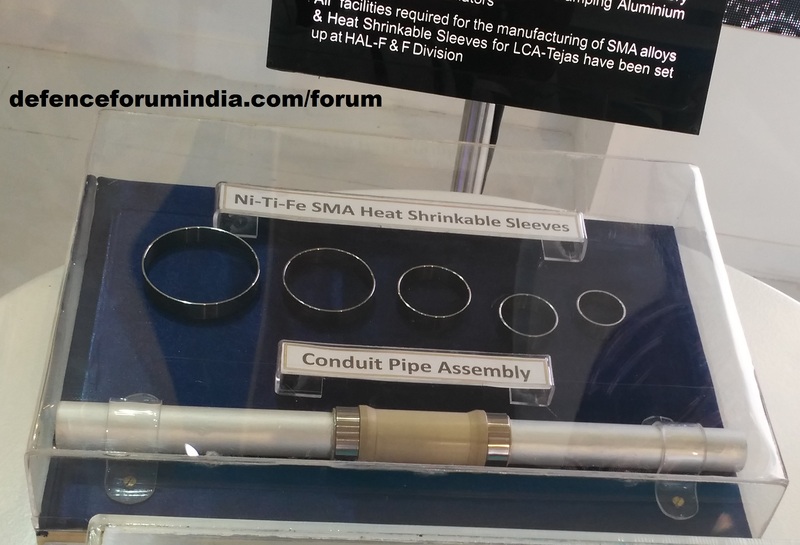 Another three are due to be delivered by mid-2016, and HAL has said it can produce up to eight LCAs annually, after investment in jigs, tools and fixtures. The IAF placed an order for an initial 40 LCA Mk1s with GE F404 engines, but entry-into-service will be at least six years later than promised. 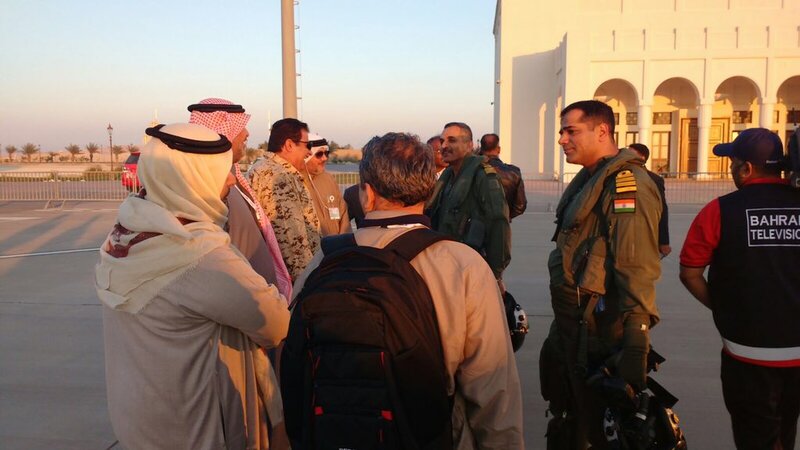 Moreover, AM Raha implied that the aircraft as currently configured does not meet IAF requirements. “We want the LCA that HAL is working on now with an improved radar, electronic warfare, flight refueling and better missiles,” he said. 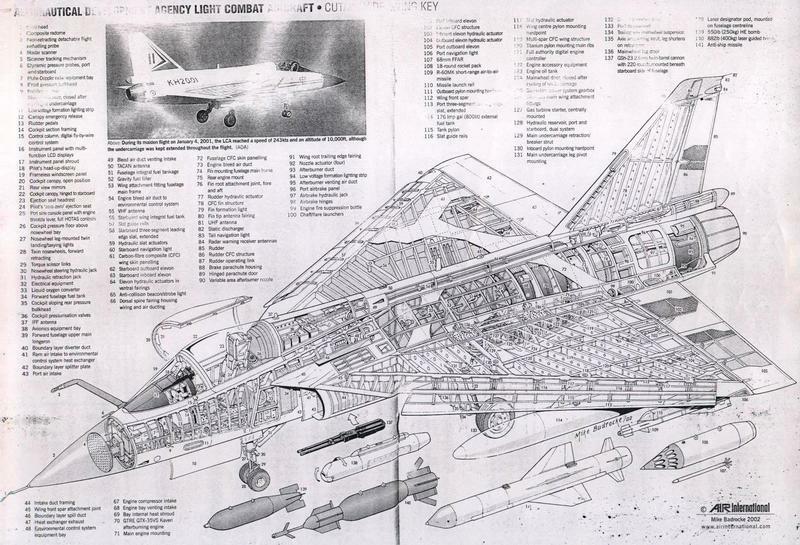 A Mk2 version of the LCA has been designed, with increased thrust GE F414 engines, but Raha made no reference to it. 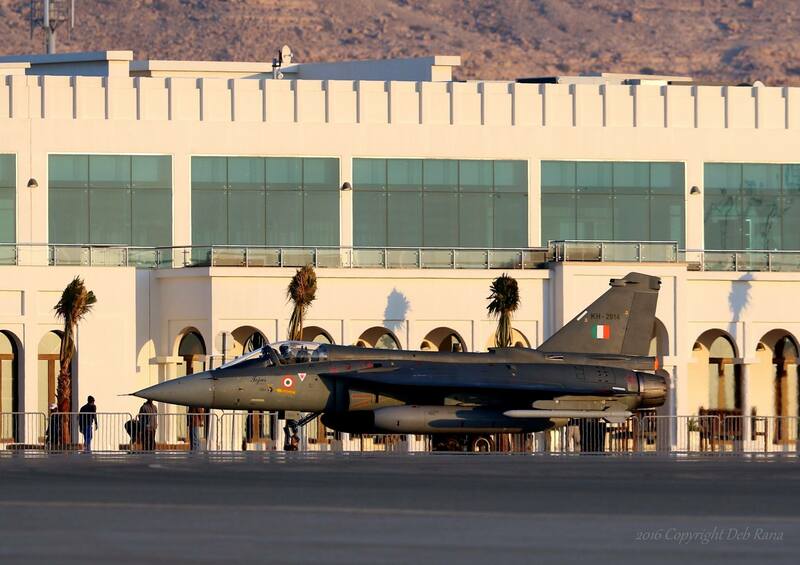 Meanwhile, HAL confirmed this week that the single LCA already delivered to the IAF has been grounded following a landing gear problem. 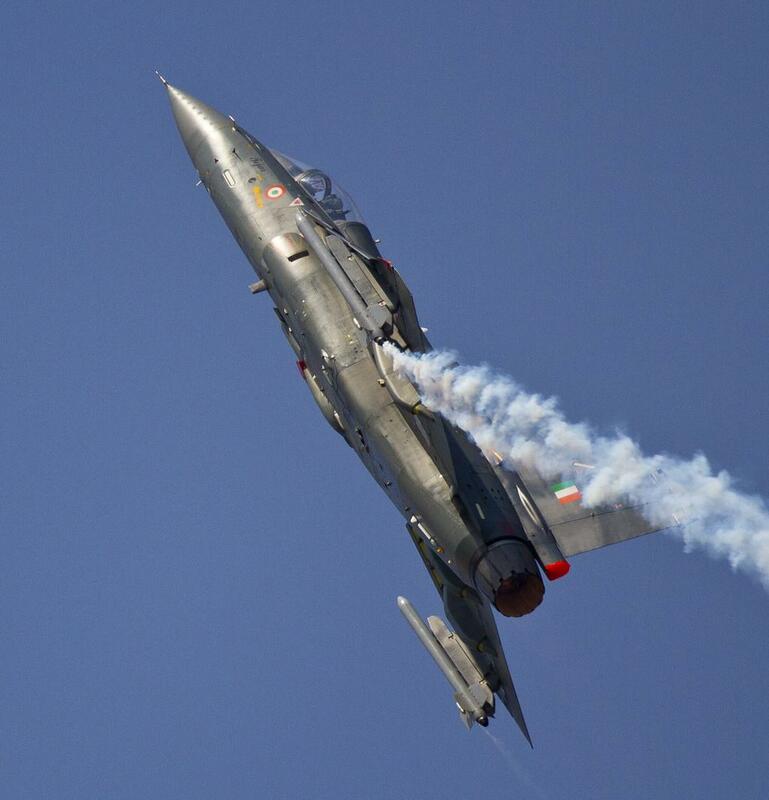 History created – for first time ‪‎LCA‬-Tejas flies into foreign airspace to participate in Bahrain AirShow. 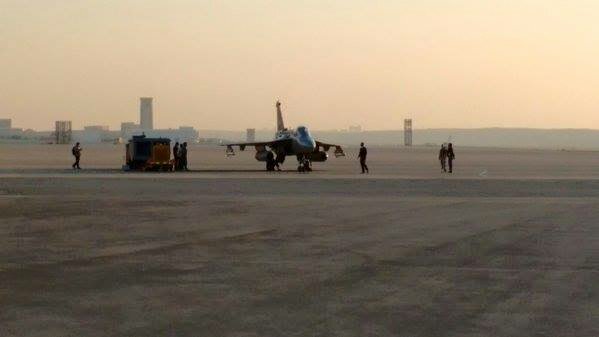 Tejas Mk1s to be parked alongside Typhoon and JF-17 fighters at the Bahrain Air Show. 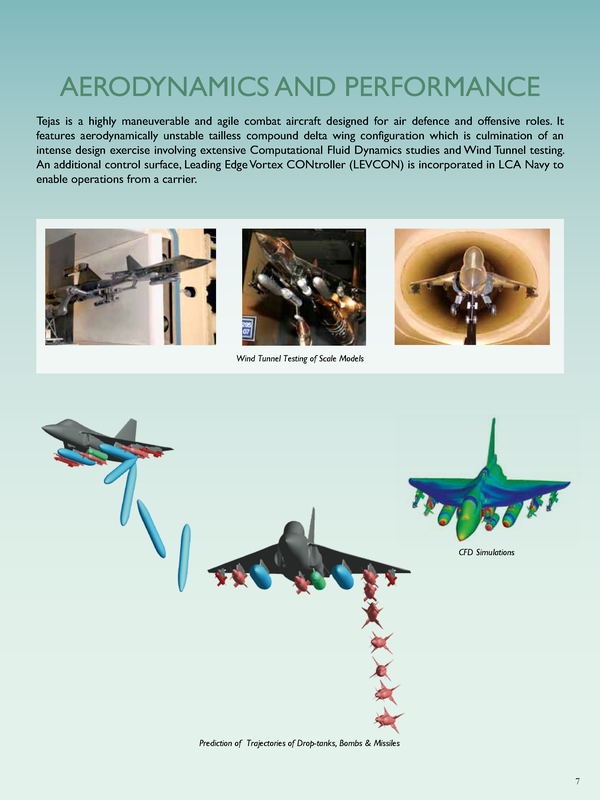 I wonder, how would look like a dogfight between Tejas and Su-34.